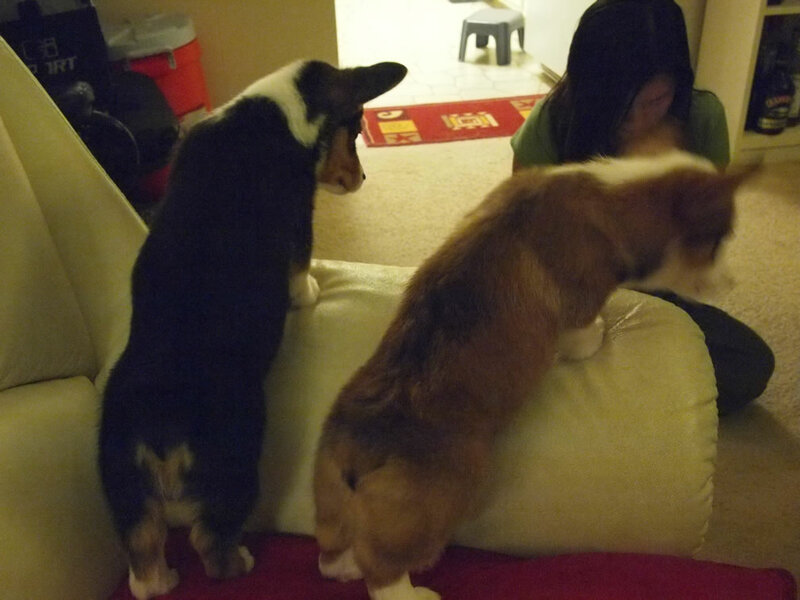 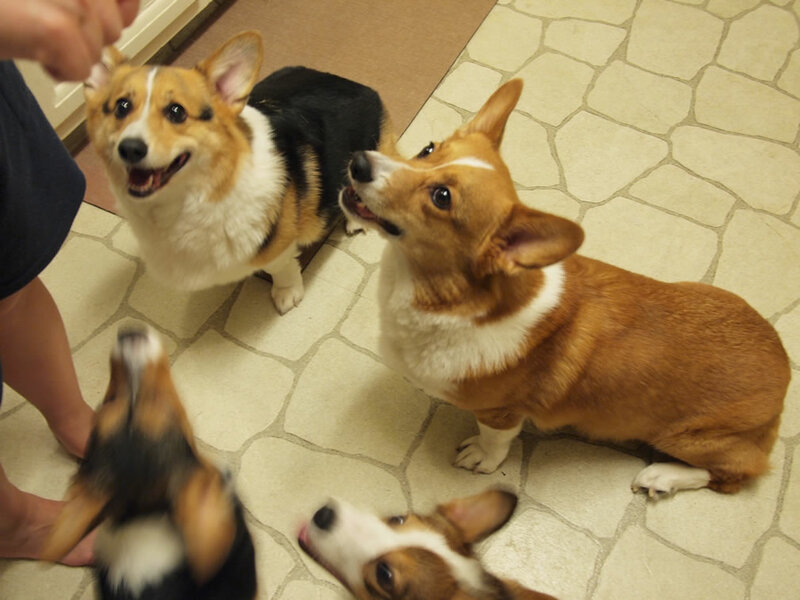 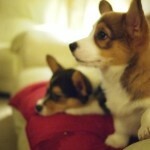 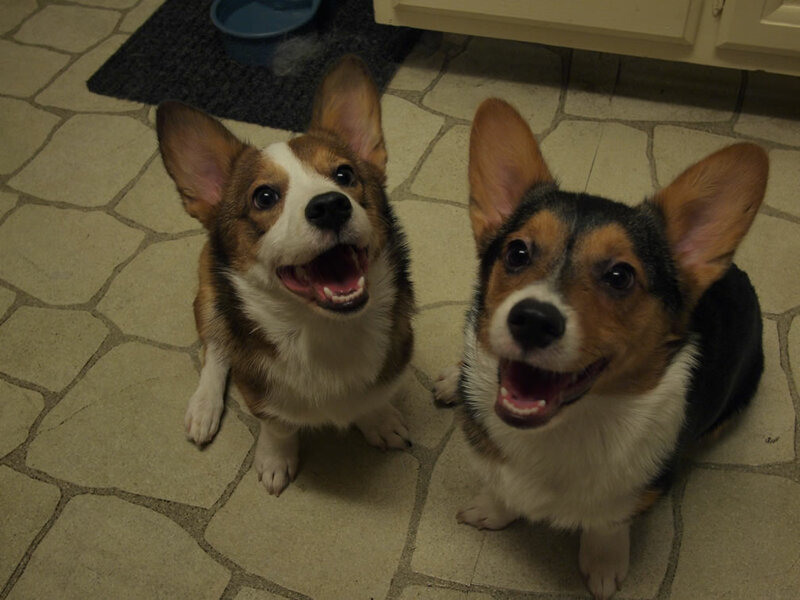 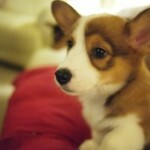 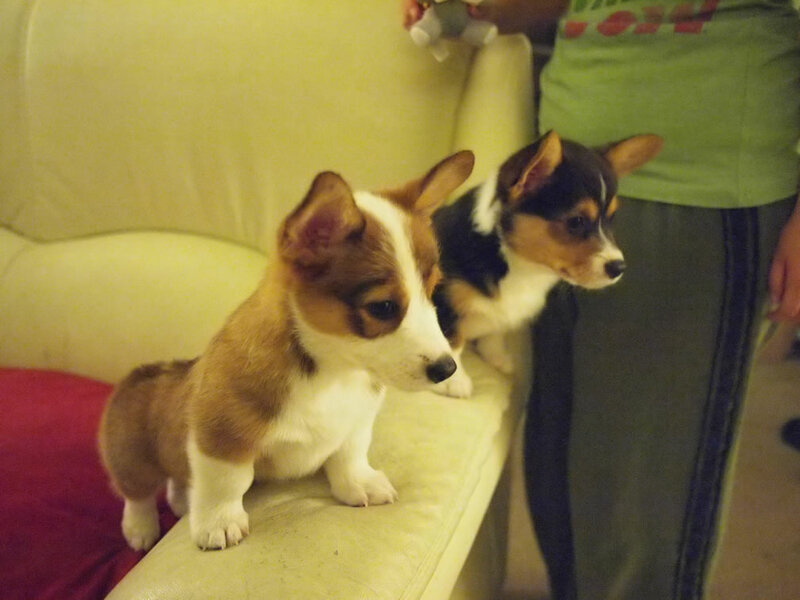 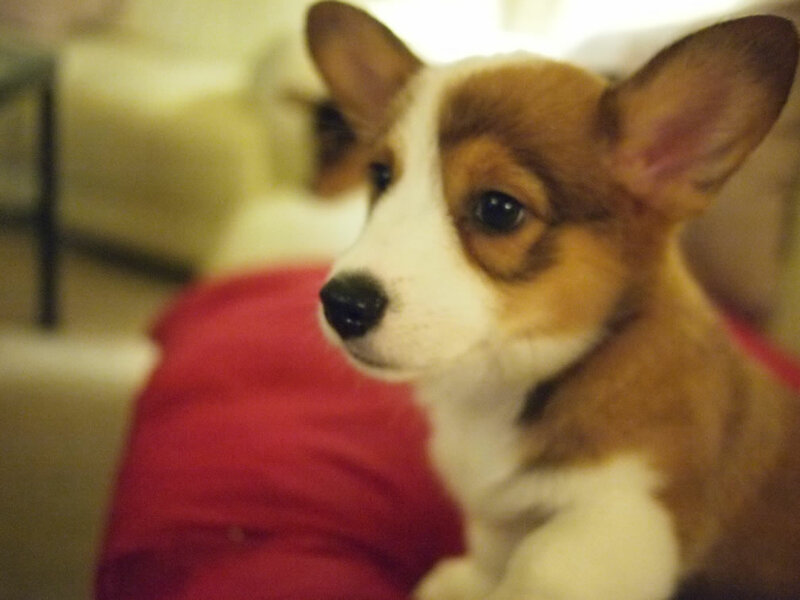 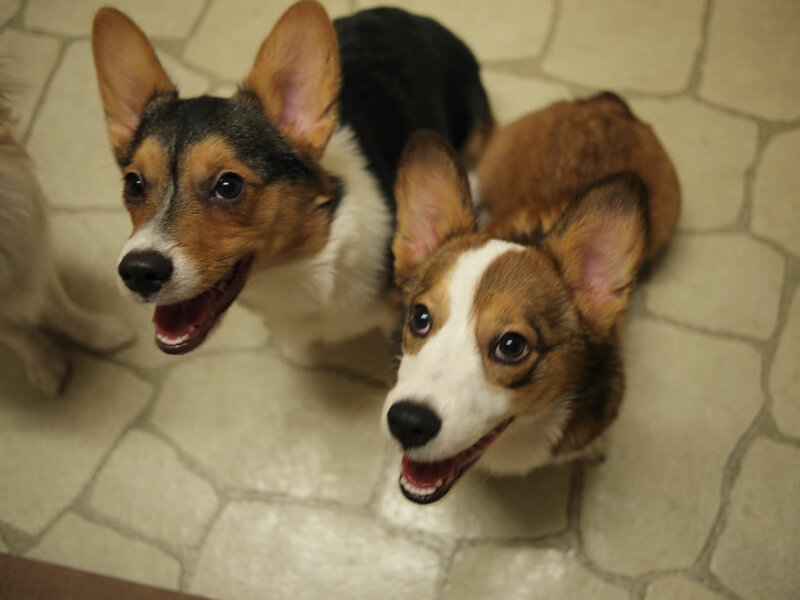 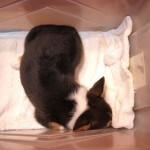 June 1, 2011: Tonight, we went and brought home Kenken, the newest corgi addition to our little family. 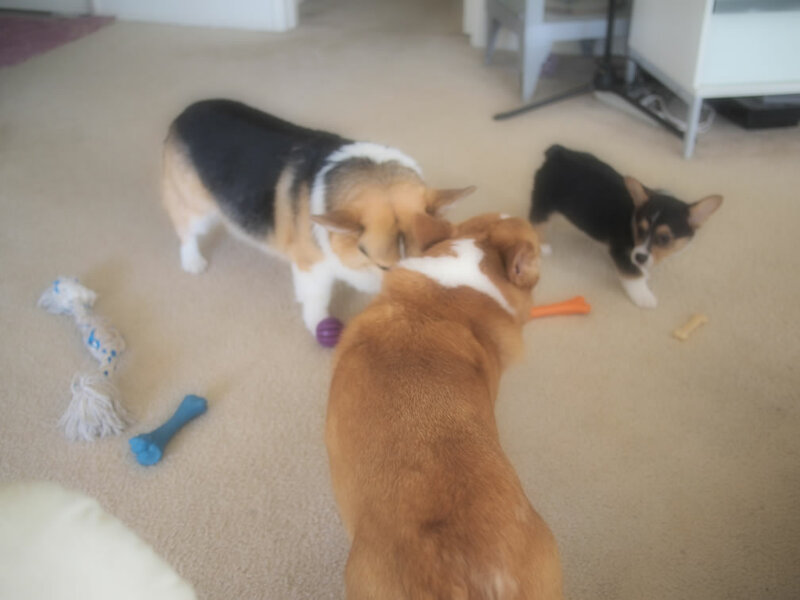 Hugo doesn’t seem as standoffish as with other dogs visiting, and Beanie seems ok, we’ll see how the coming days go and everyone adjusts to everything. 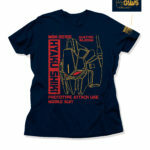 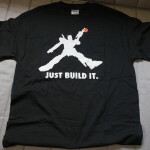 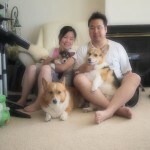 June 4, 2011: A few more pictures of Kenken. 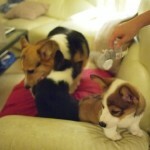 Nathan came by tonight with Latte, Kenken’s younger brother, so we’ll be seeing more of him as he and Kenken grow up. 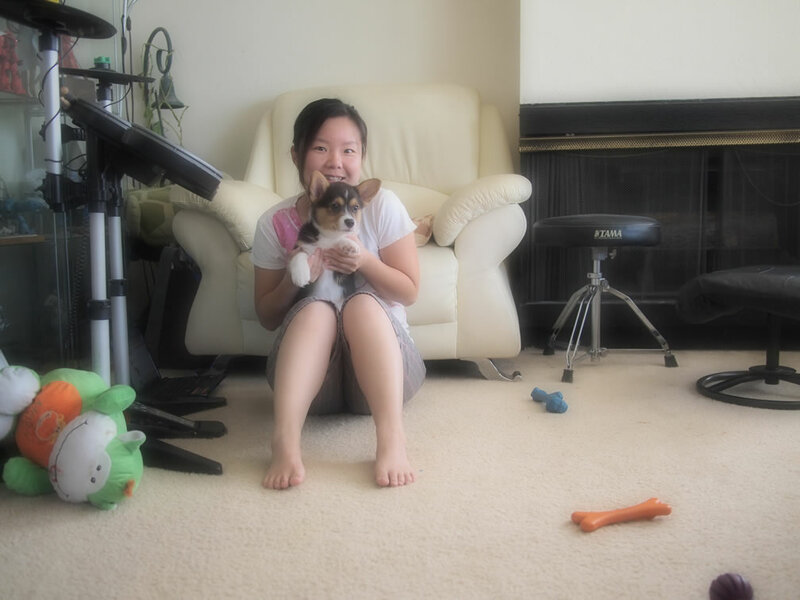 June 5, 2011: Gotta take as many pictures of him as a puppy as possible. 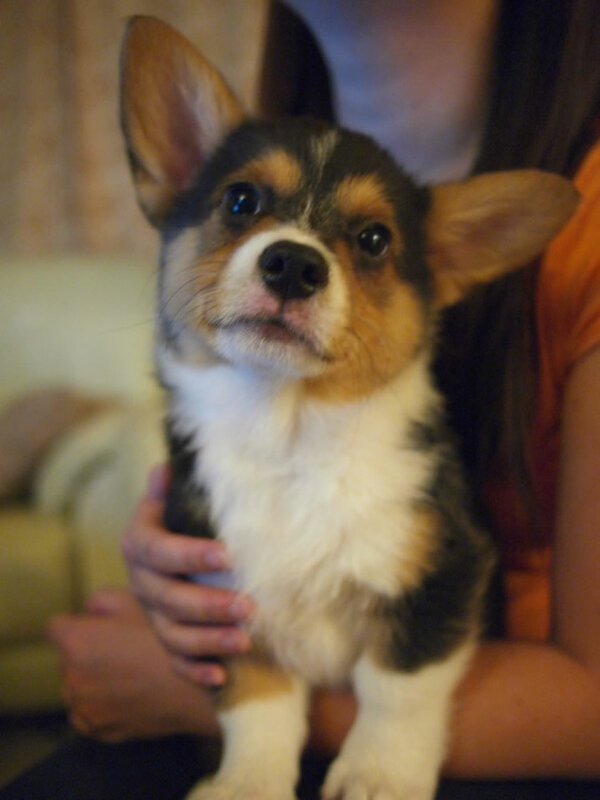 In a few months, he’ll be the size of Hugo or Duke. 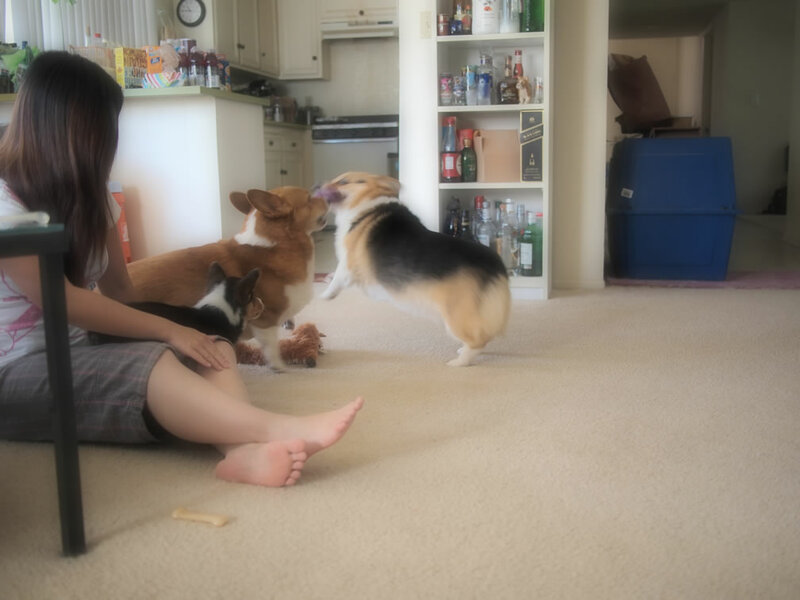 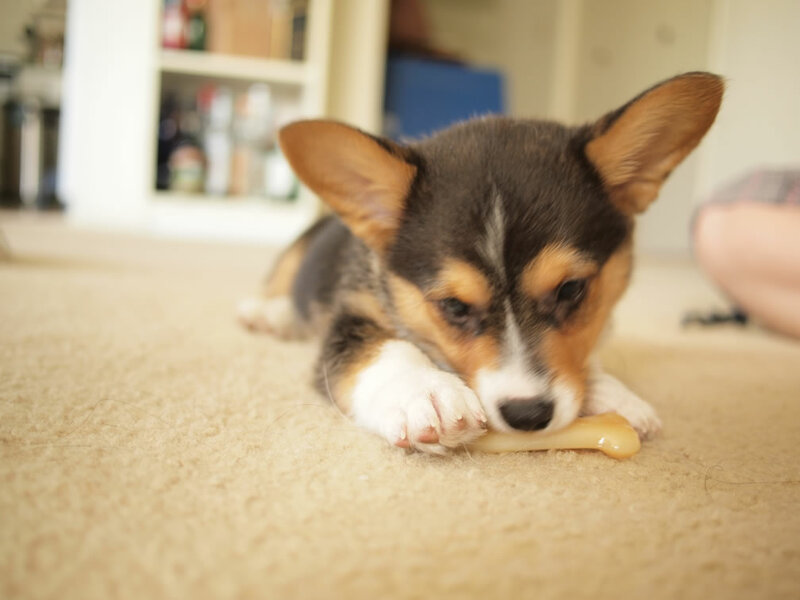 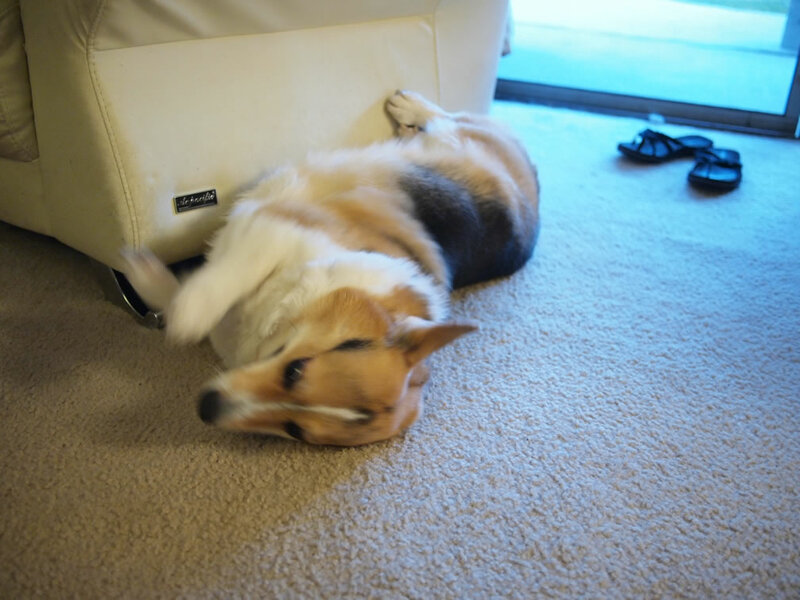 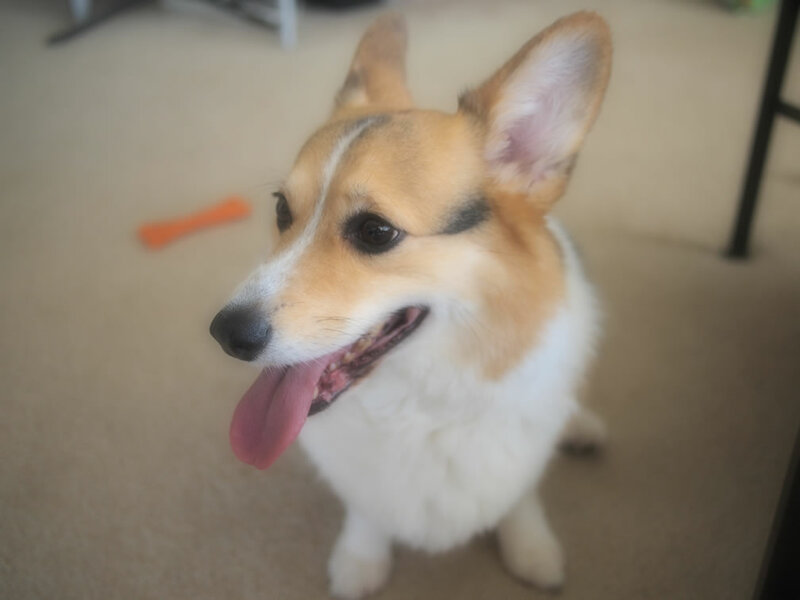 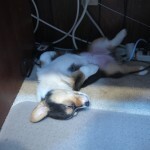 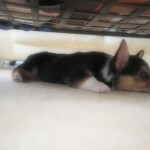 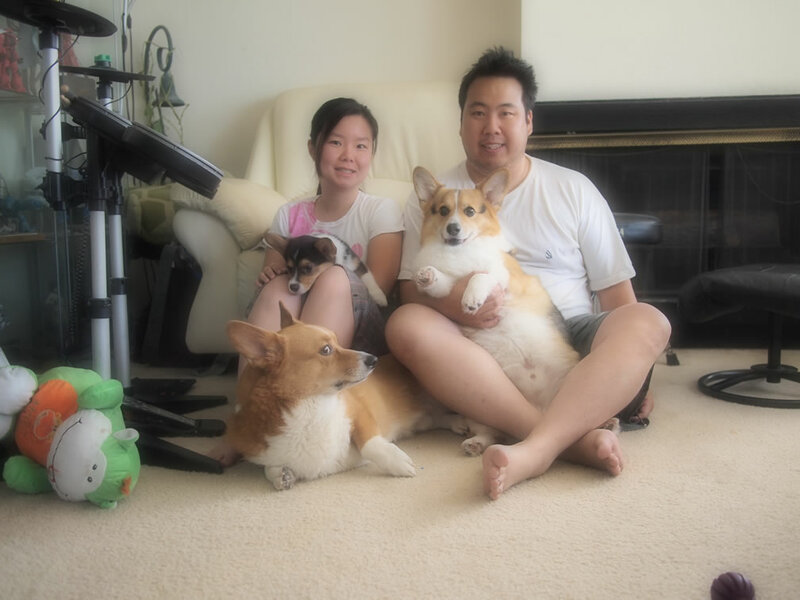 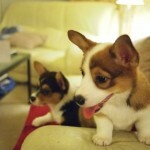 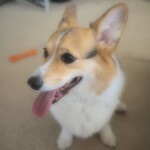 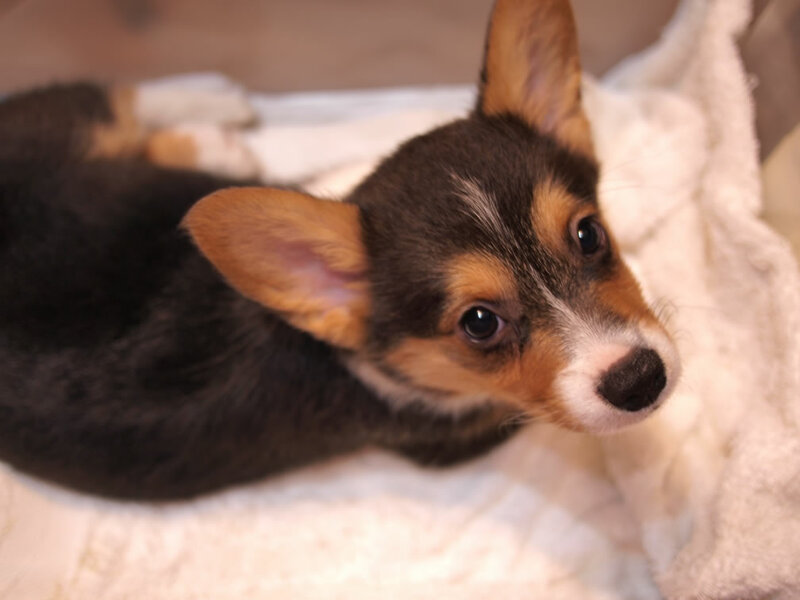 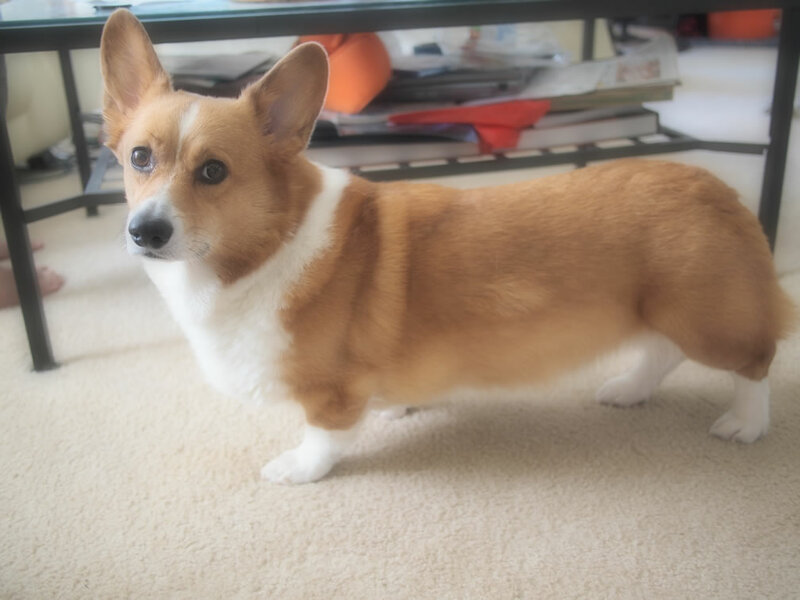 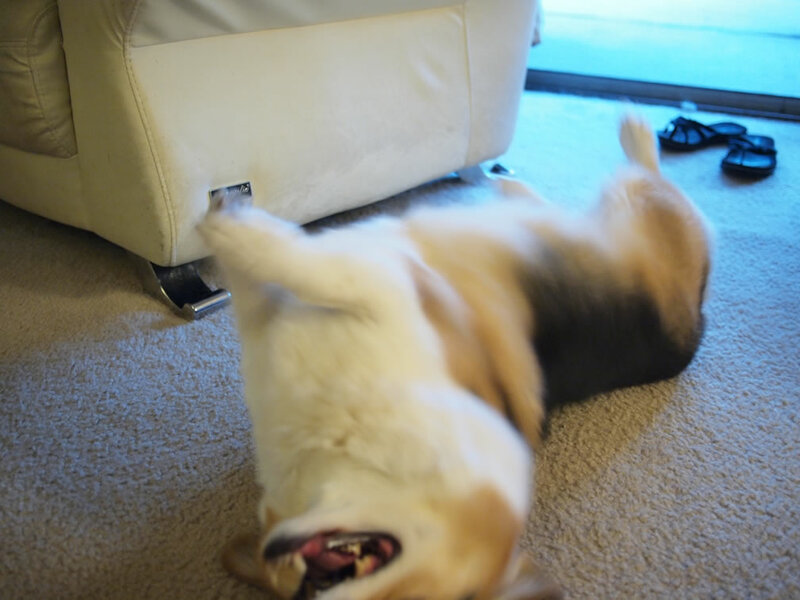 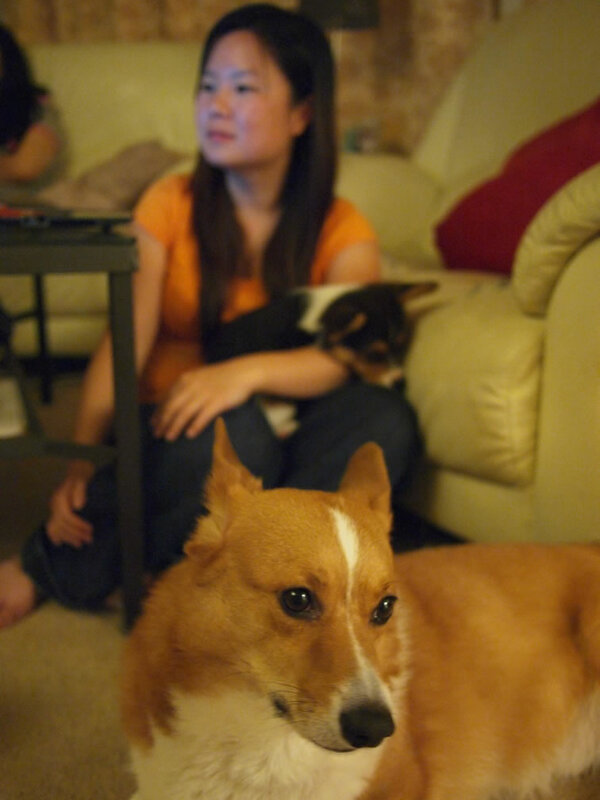 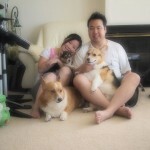 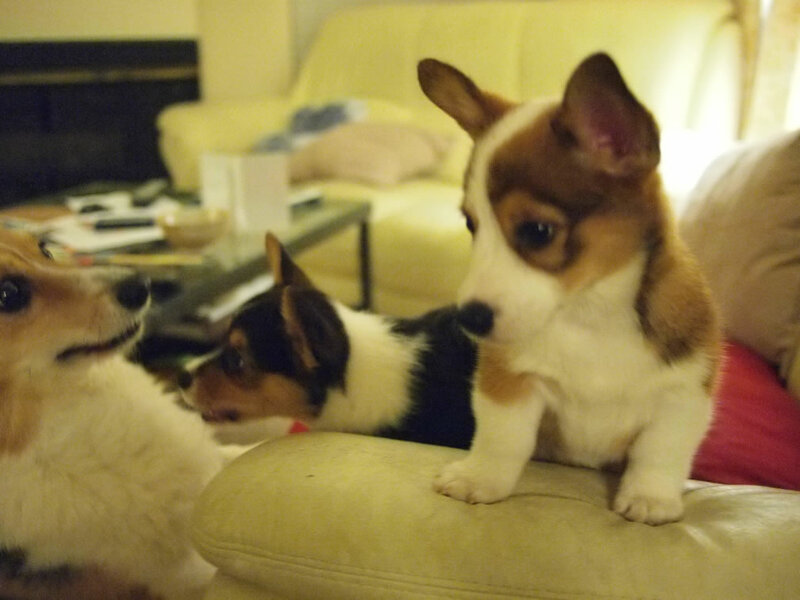 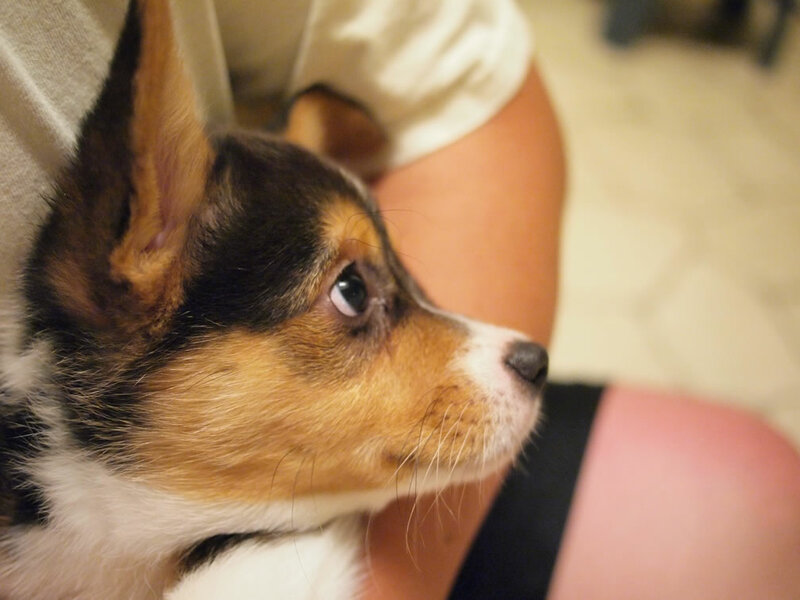 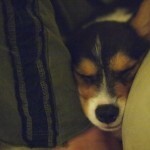 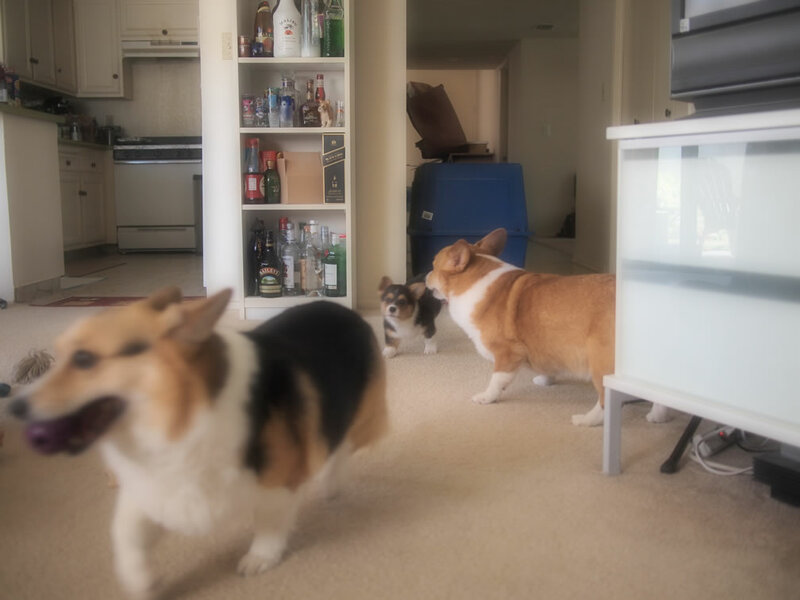 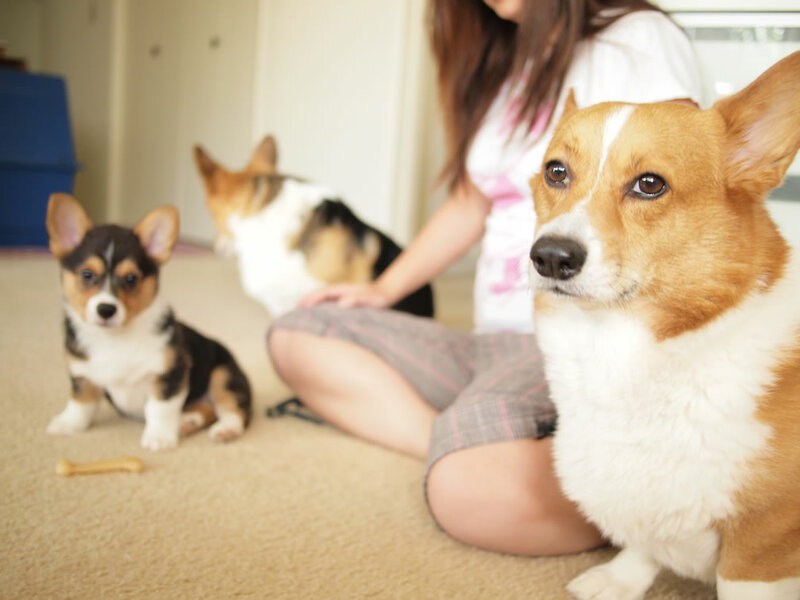 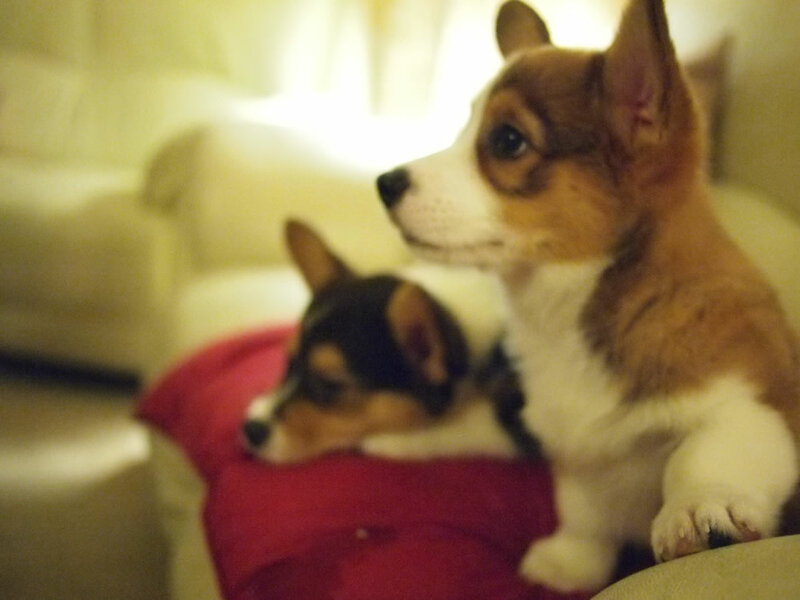 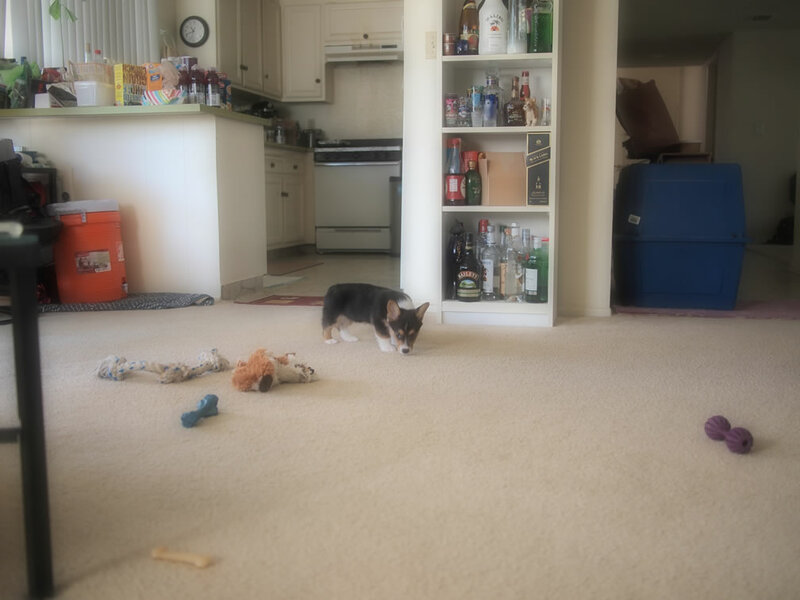 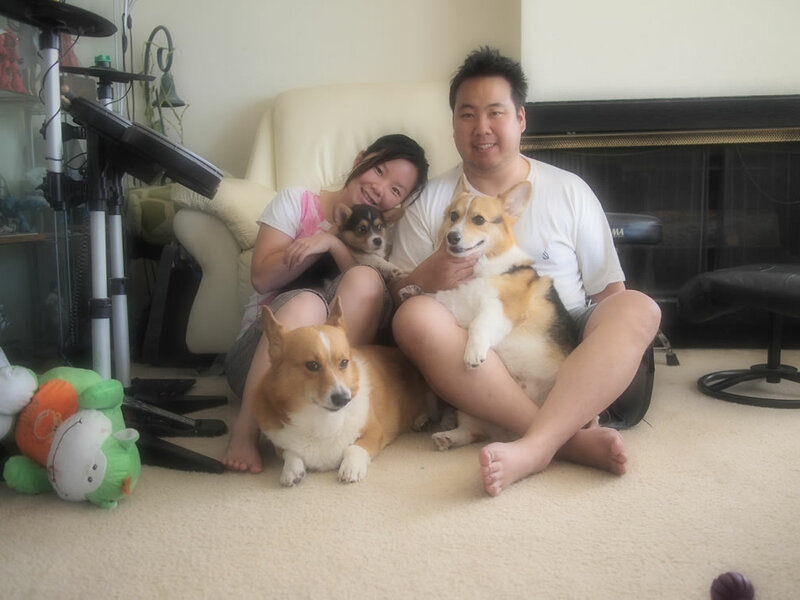 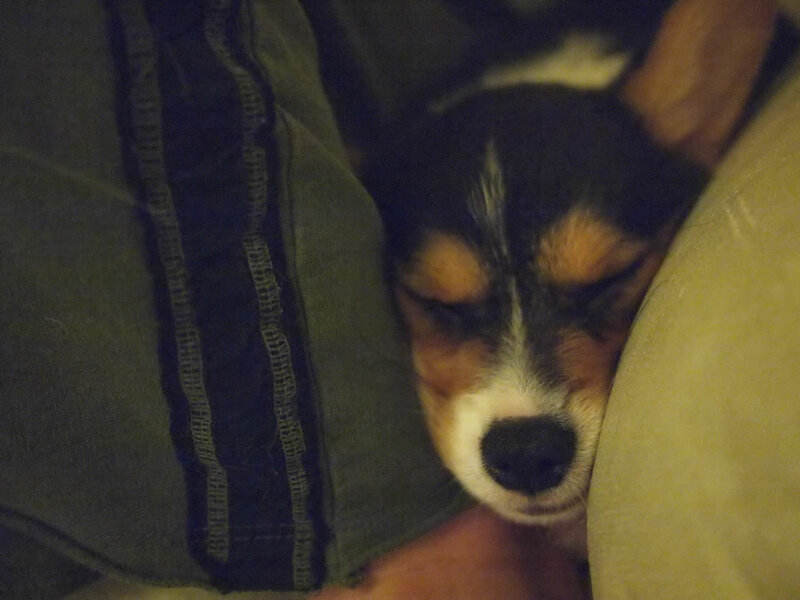 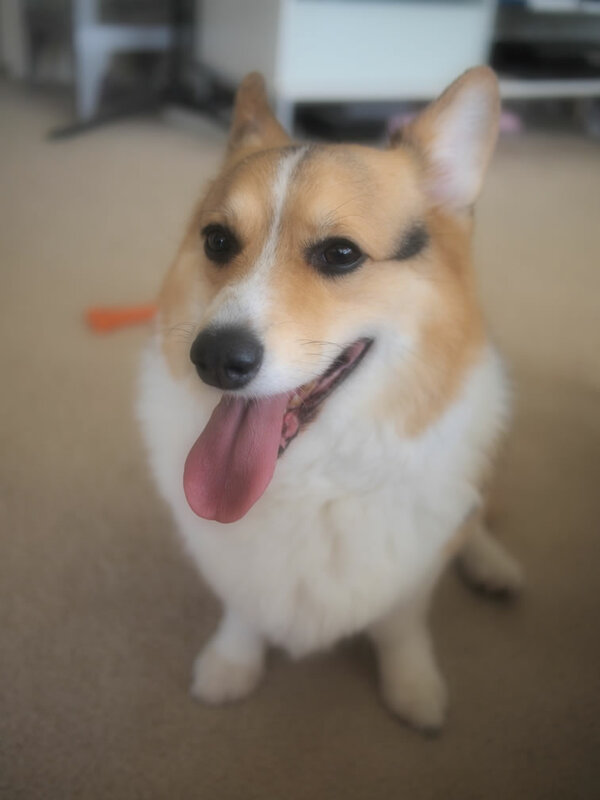 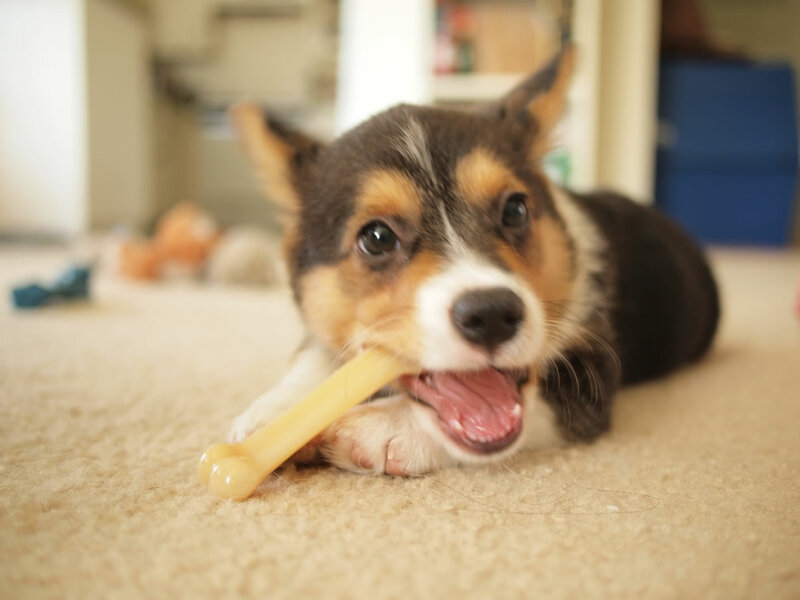 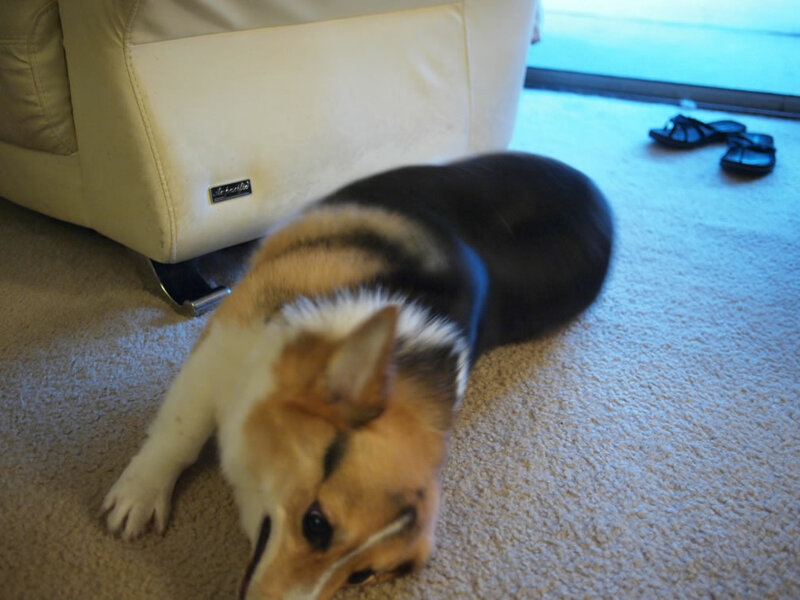 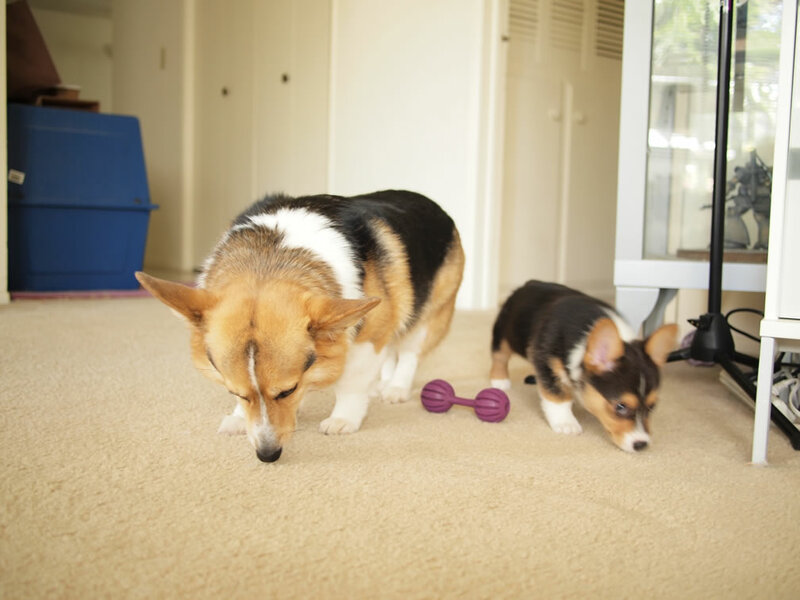 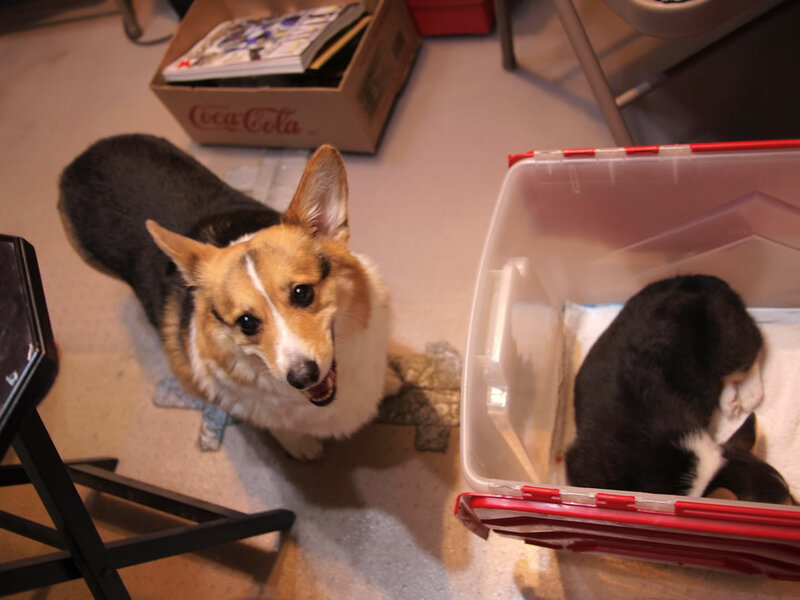 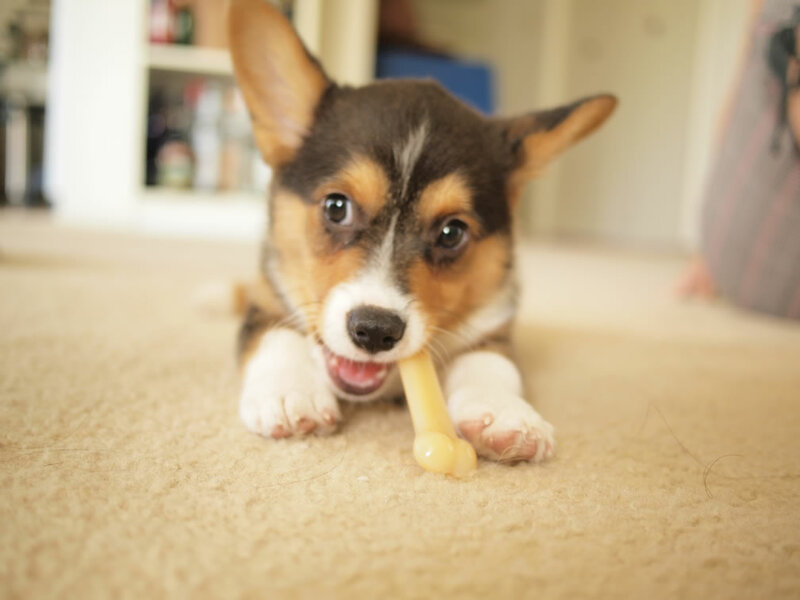 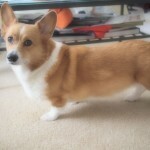 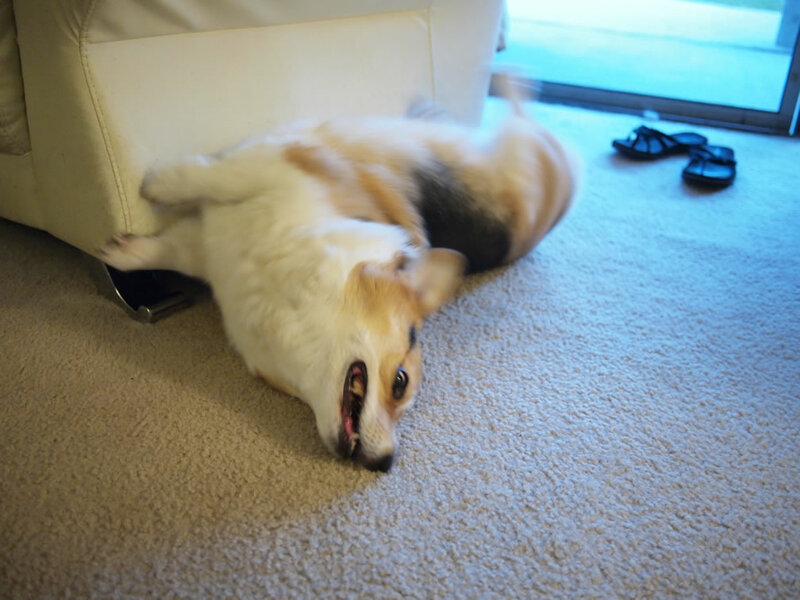 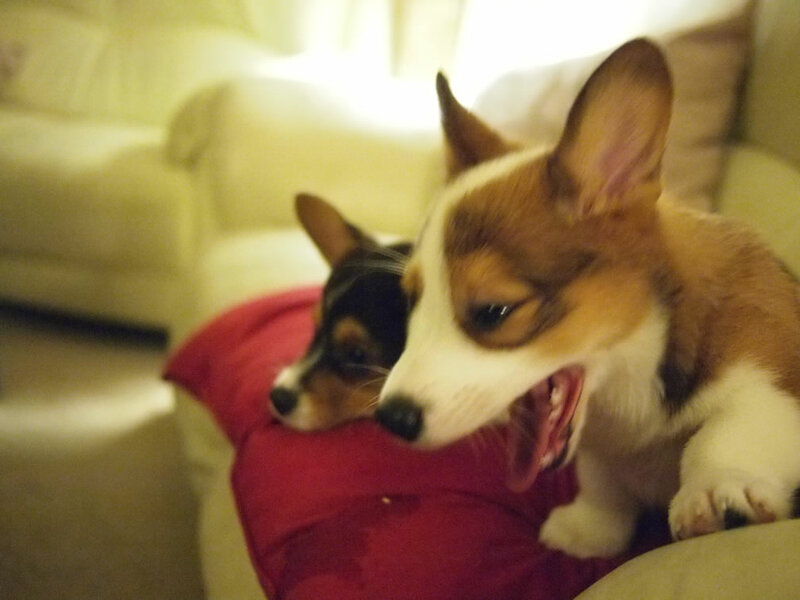 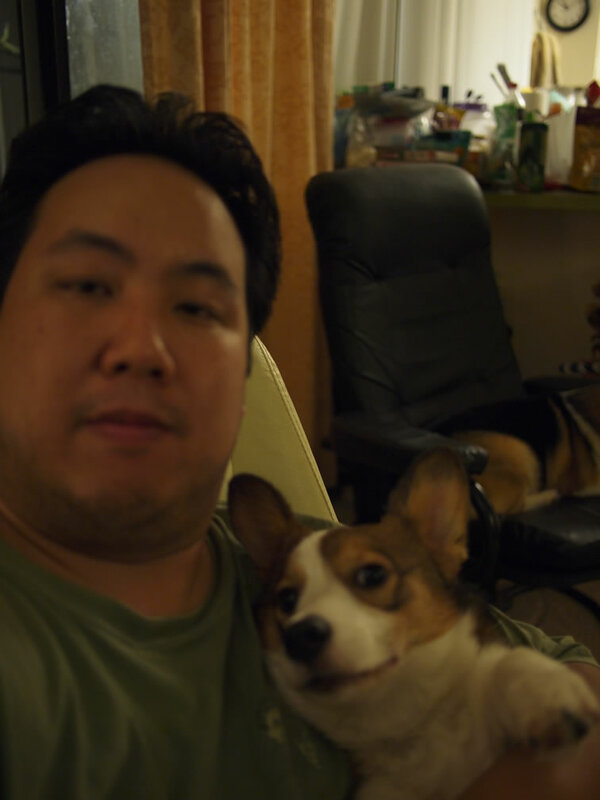 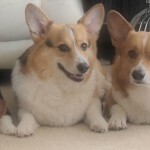 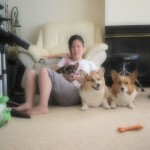 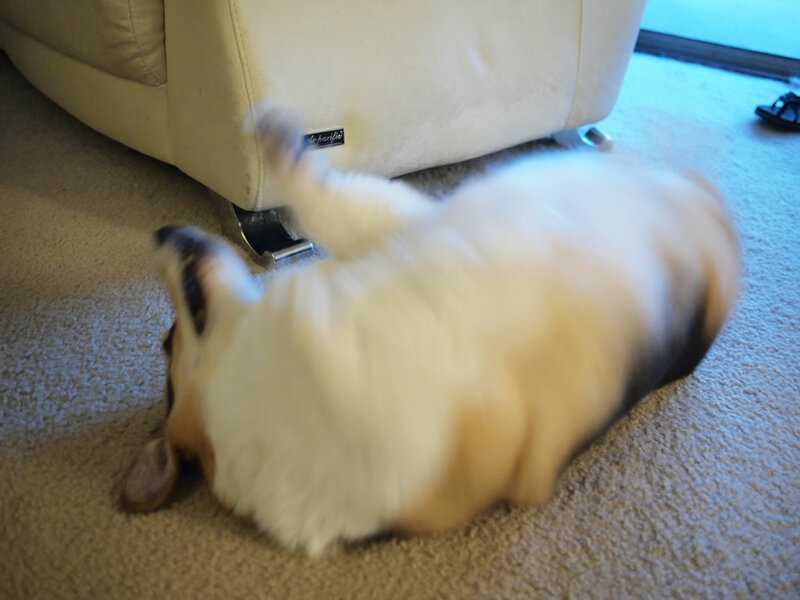 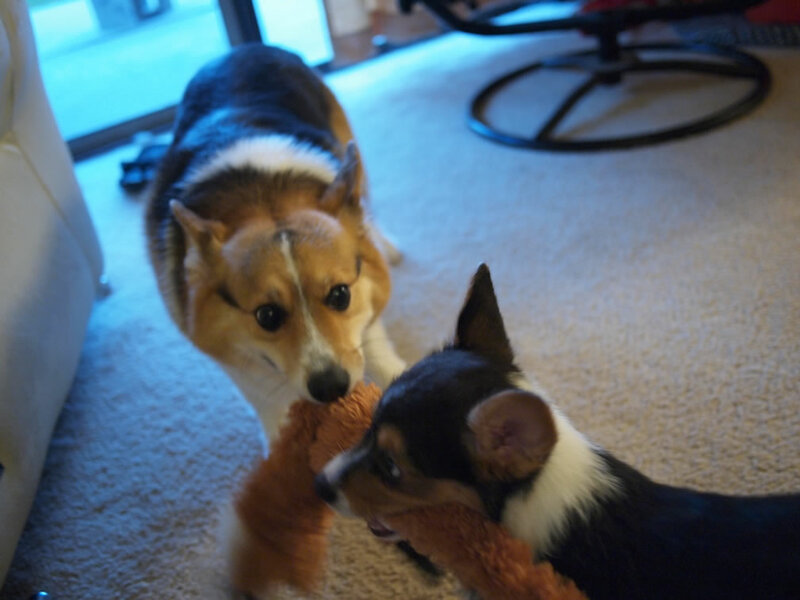 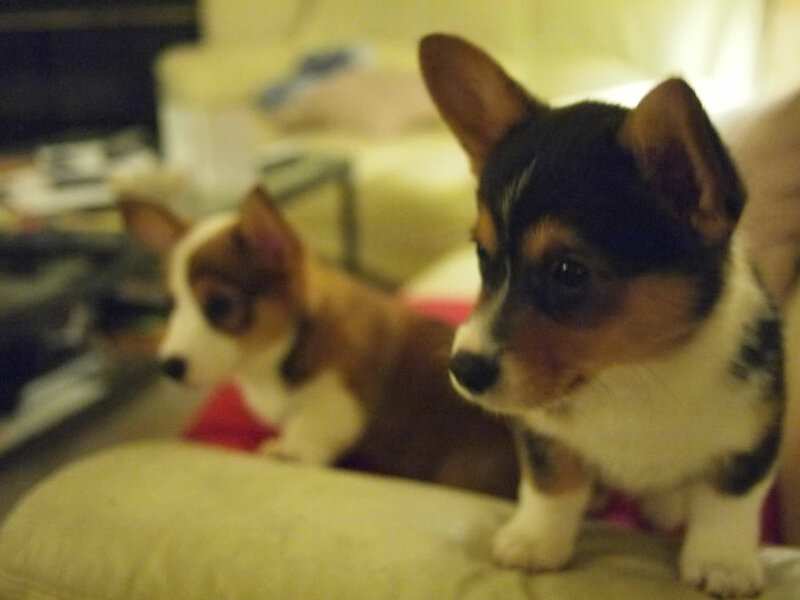 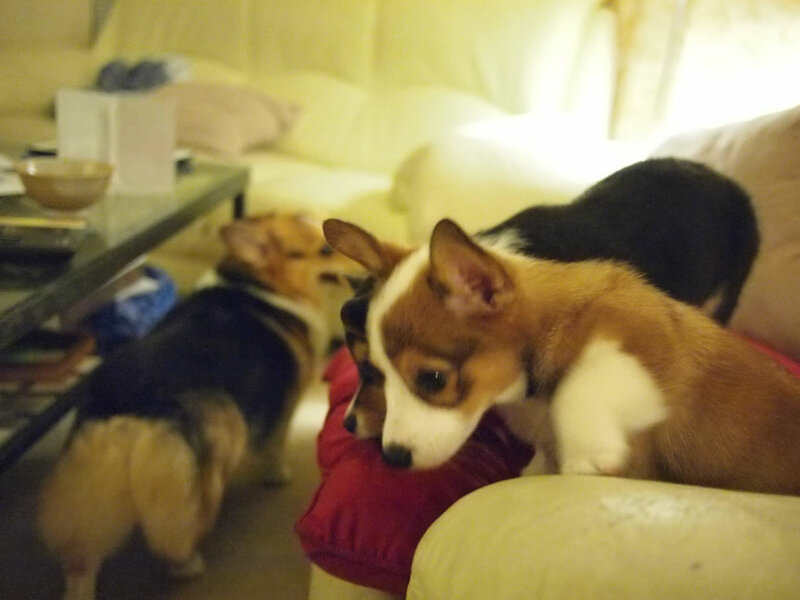 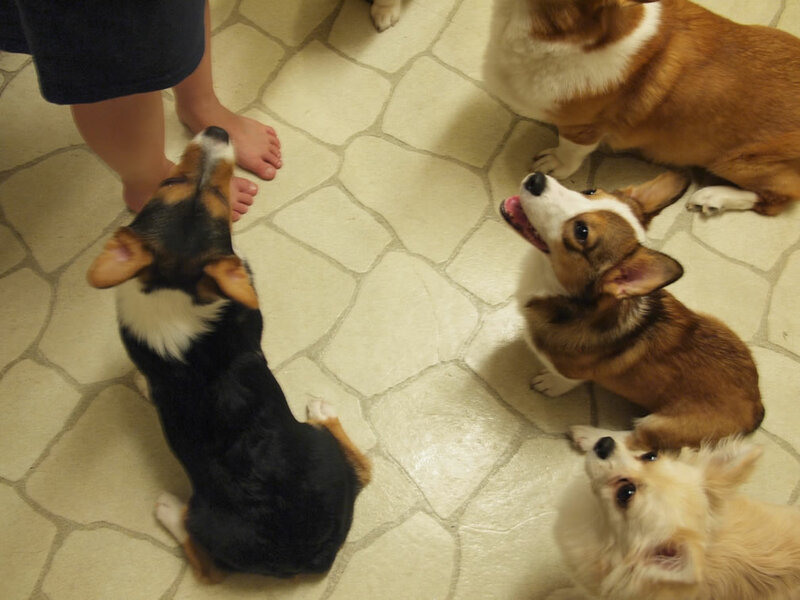 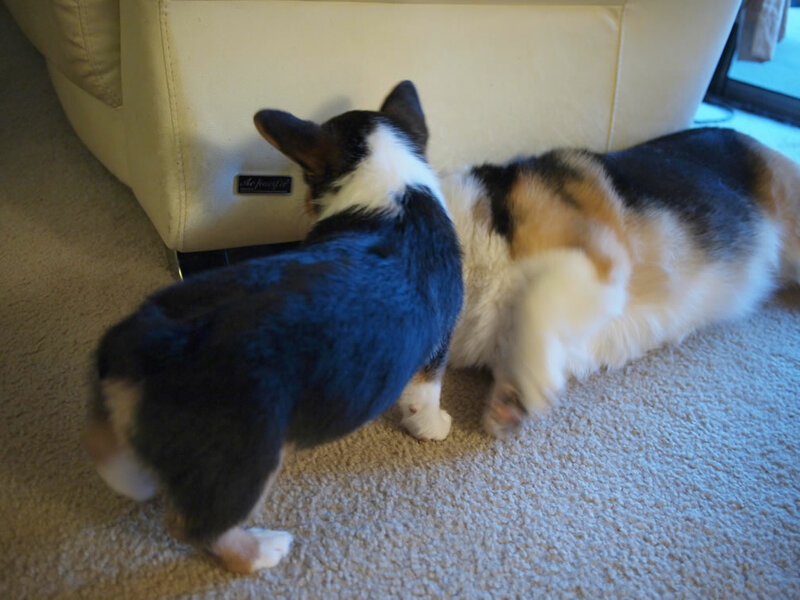 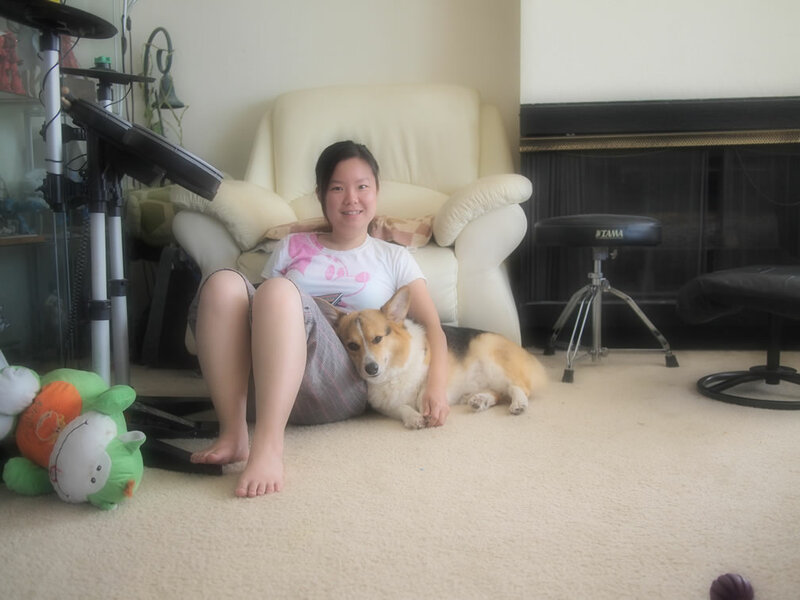 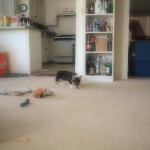 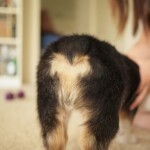 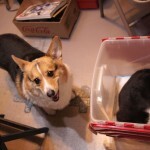 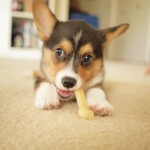 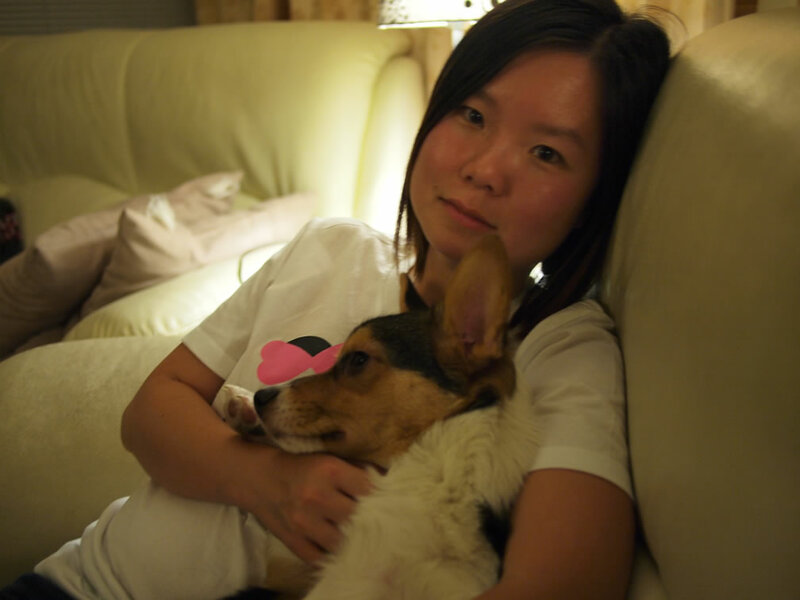 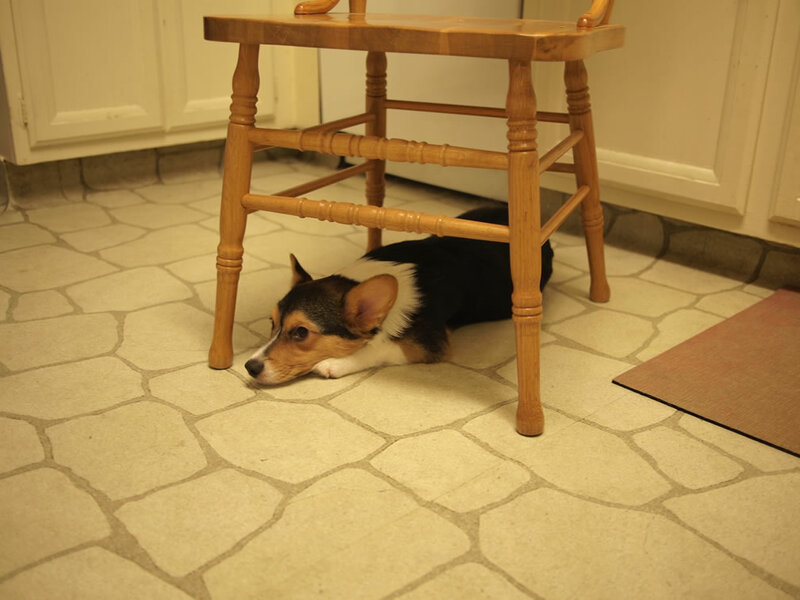 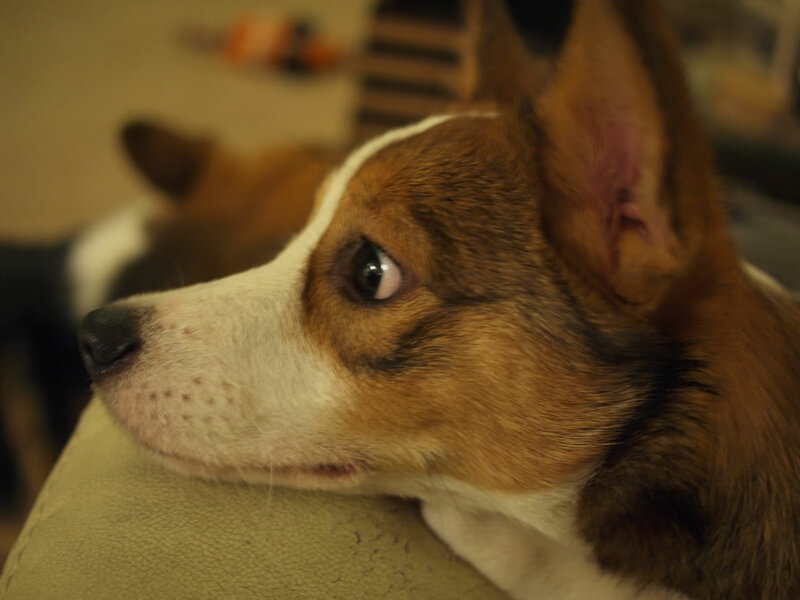 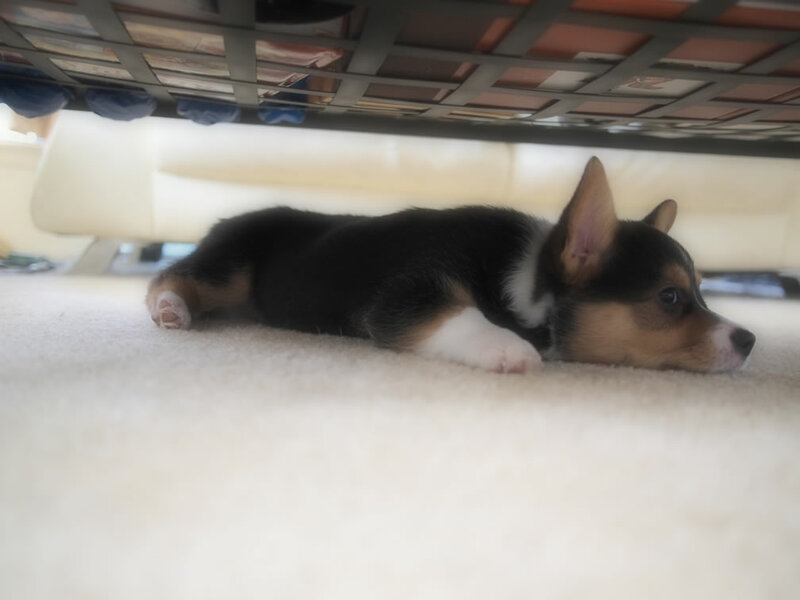 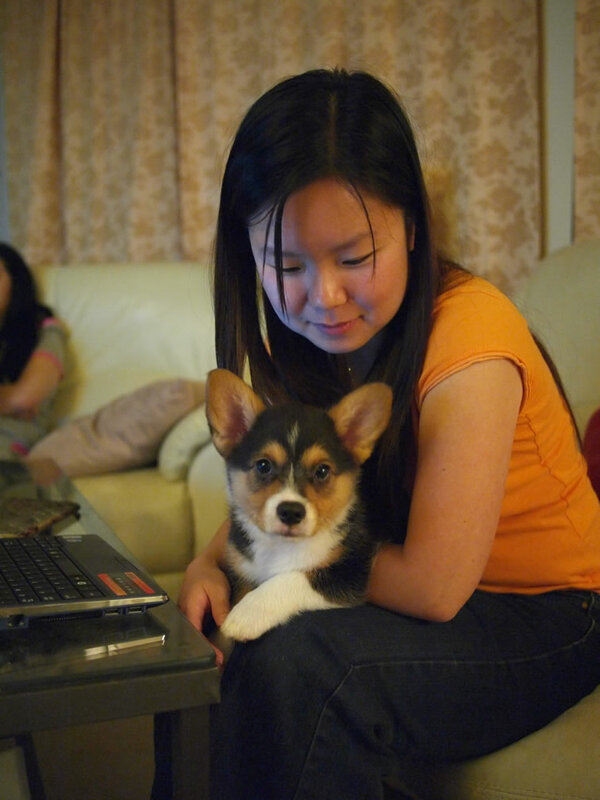 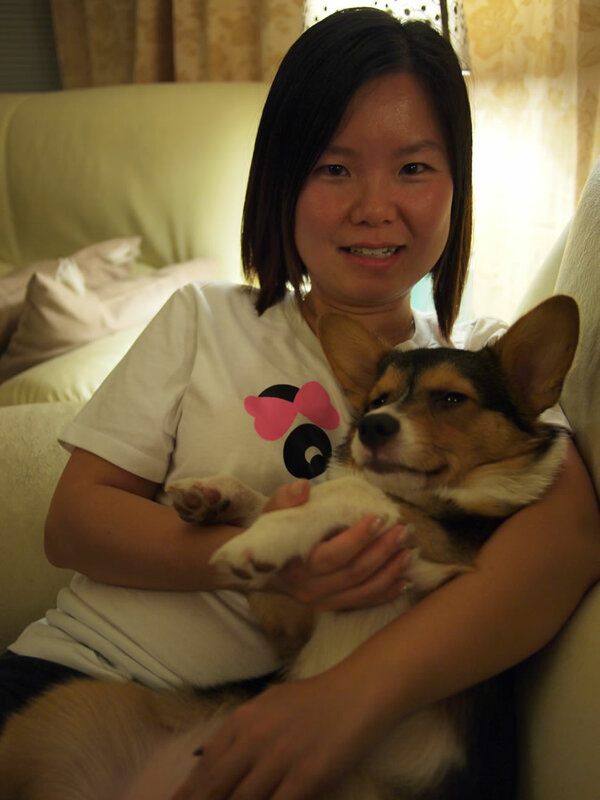 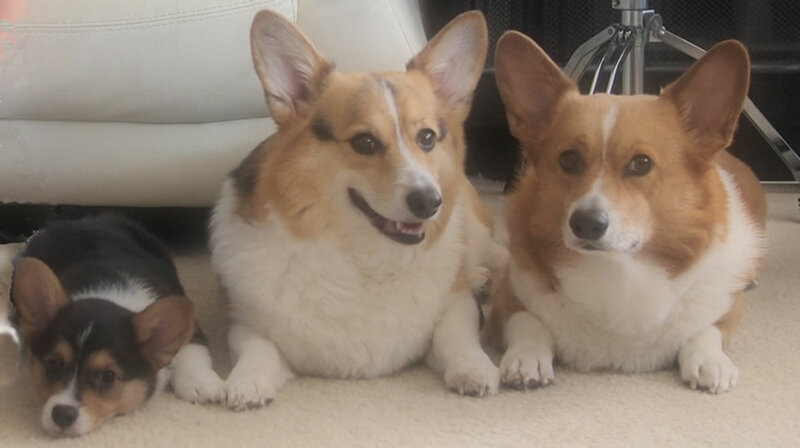 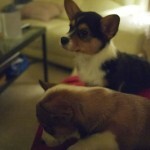 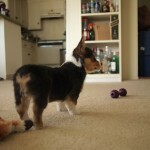 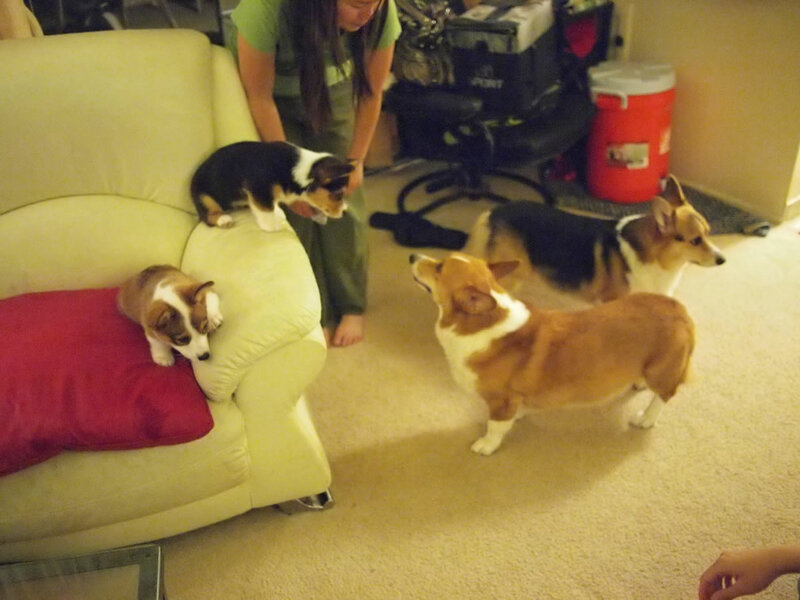 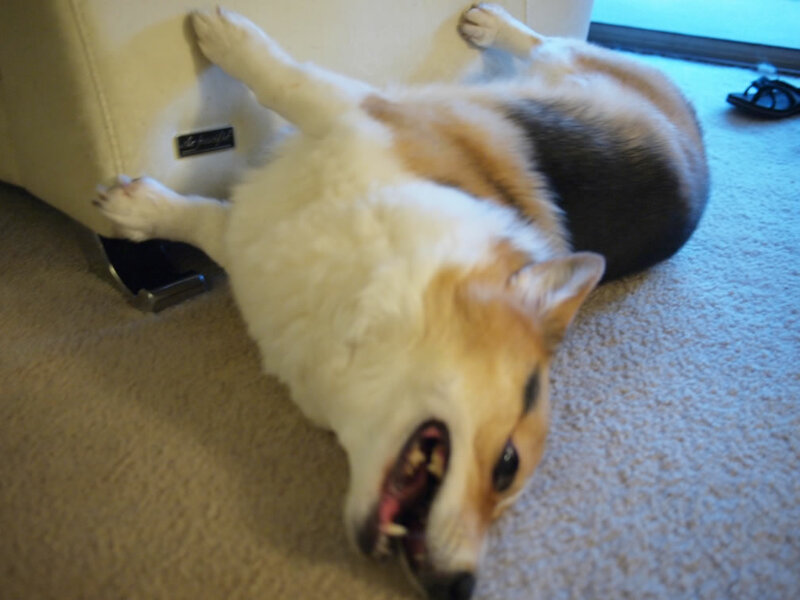 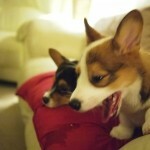 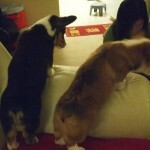 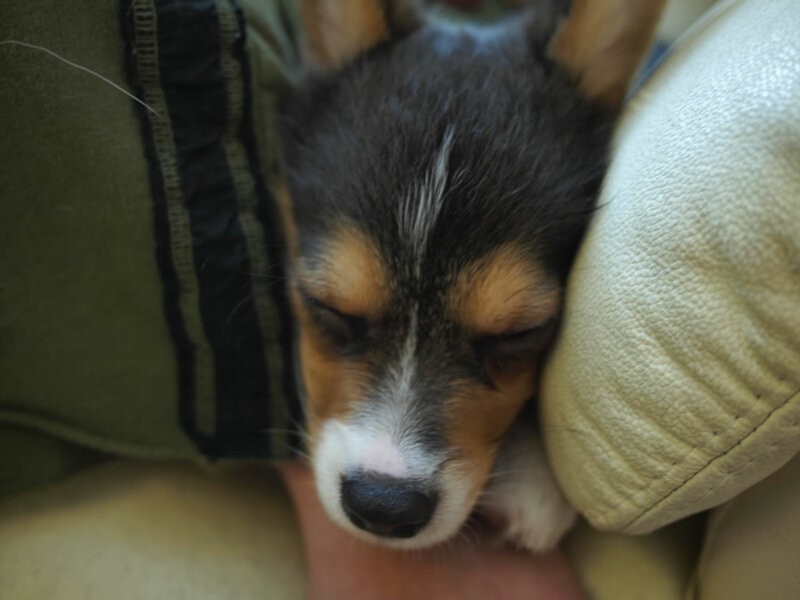 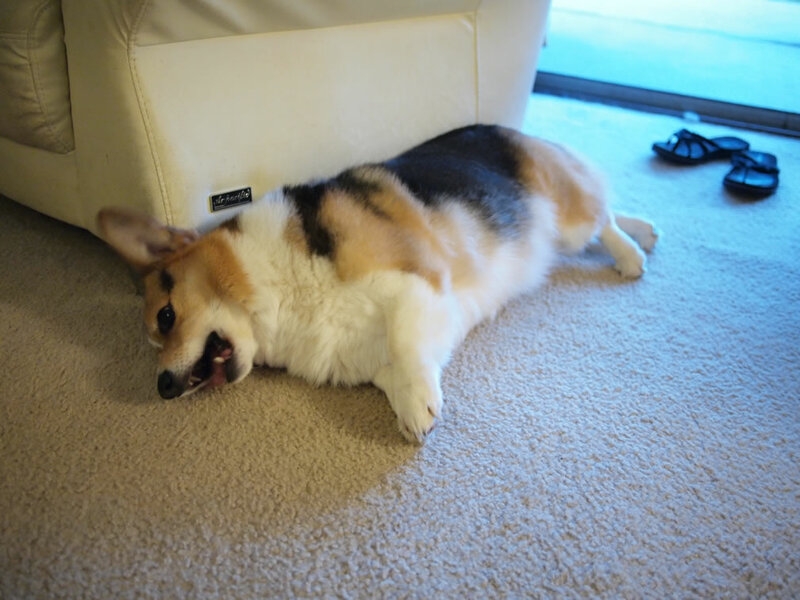 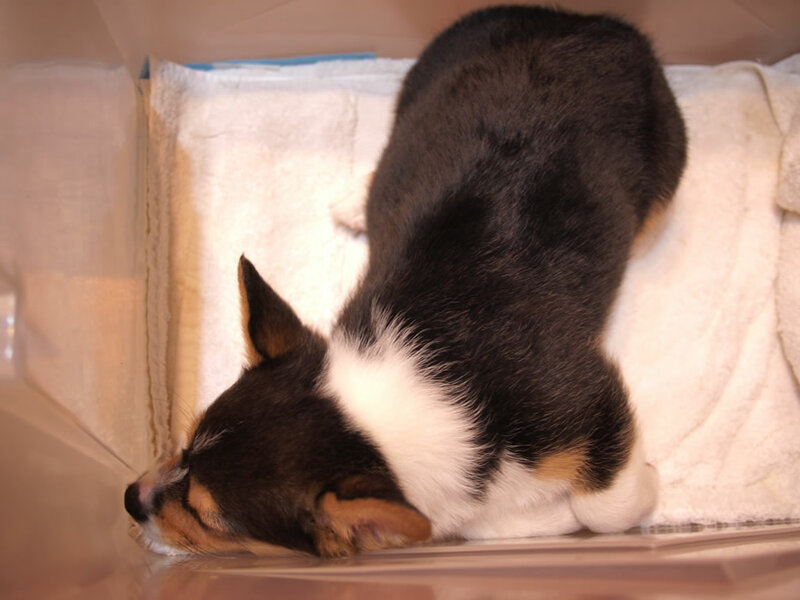 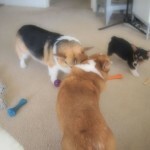 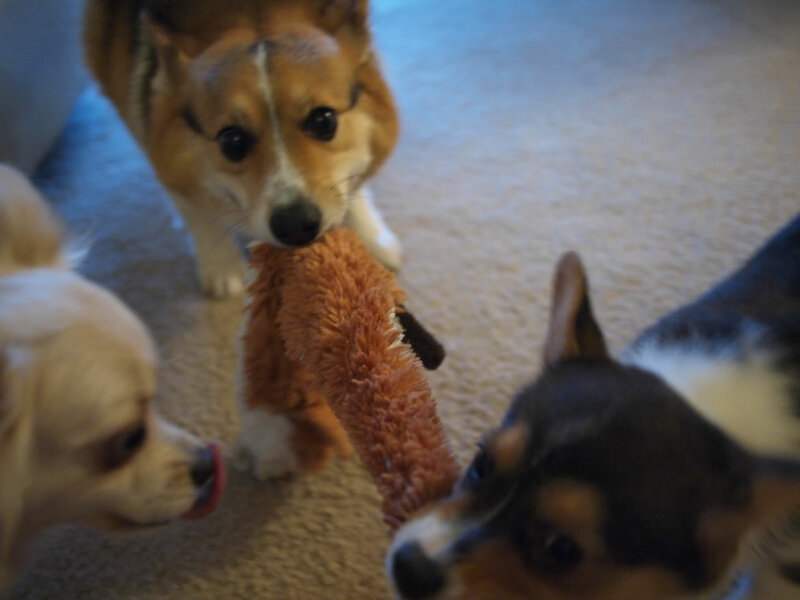 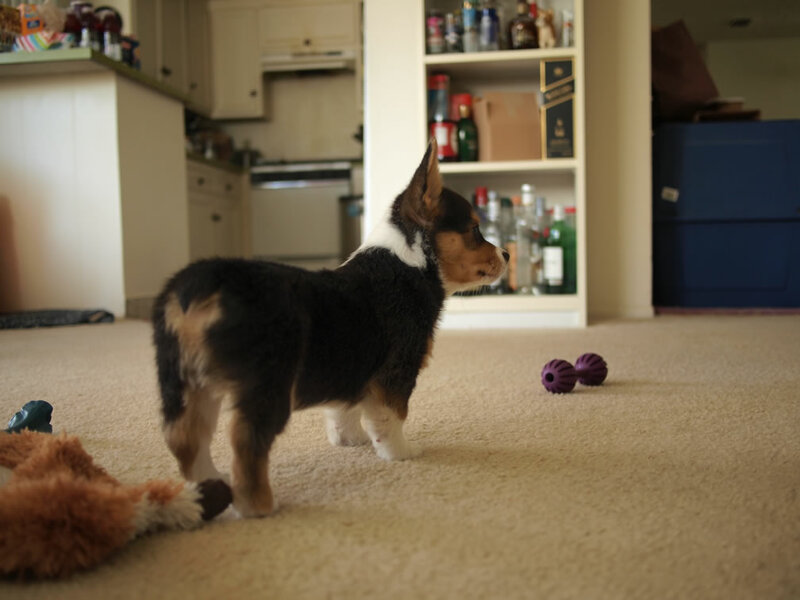 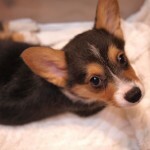 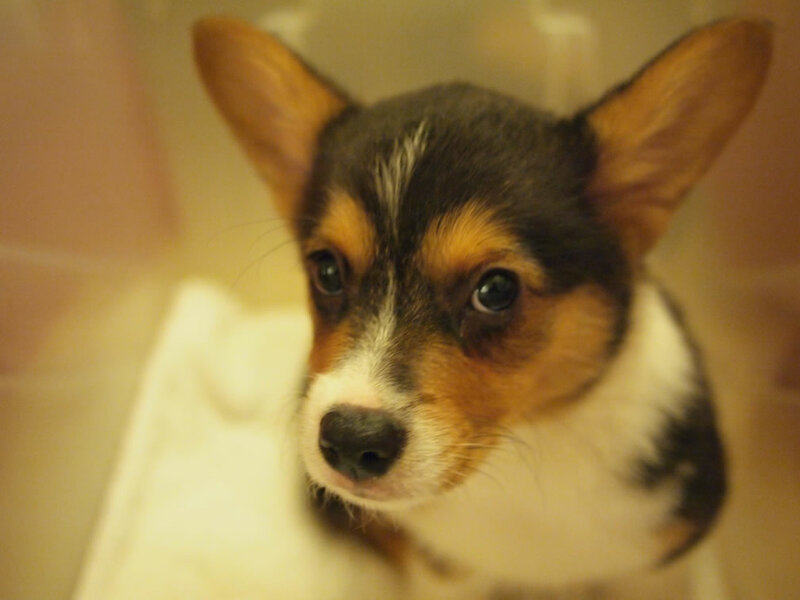 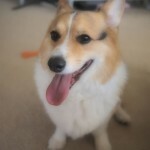 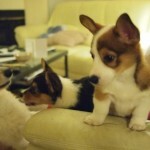 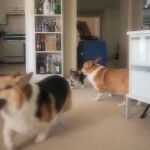 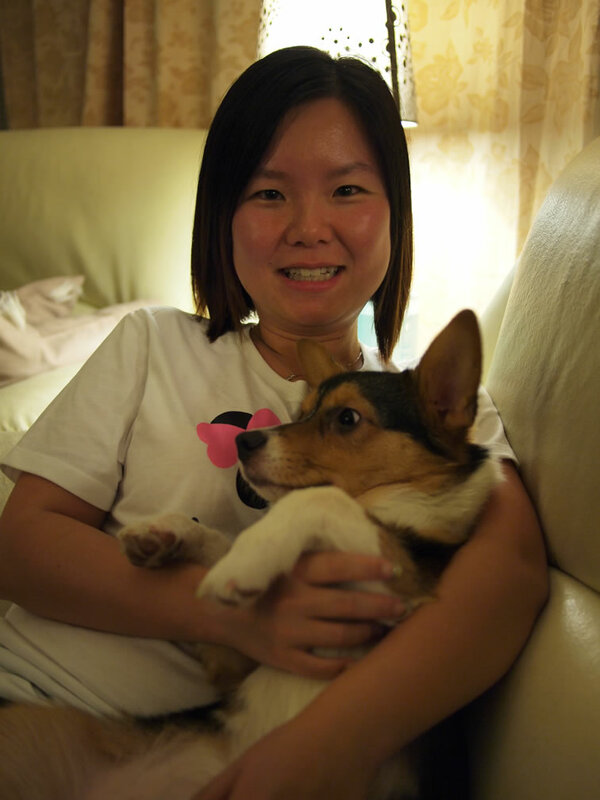 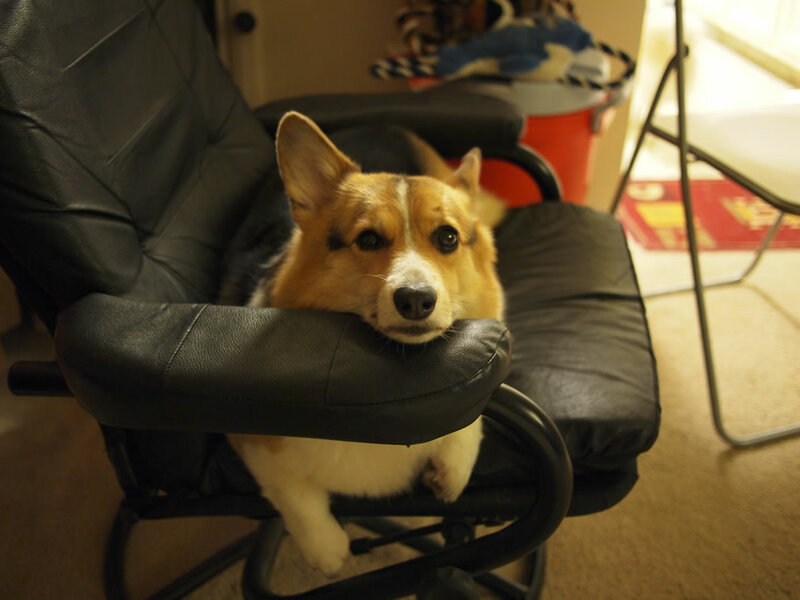 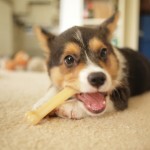 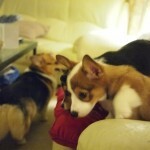 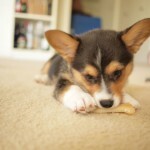 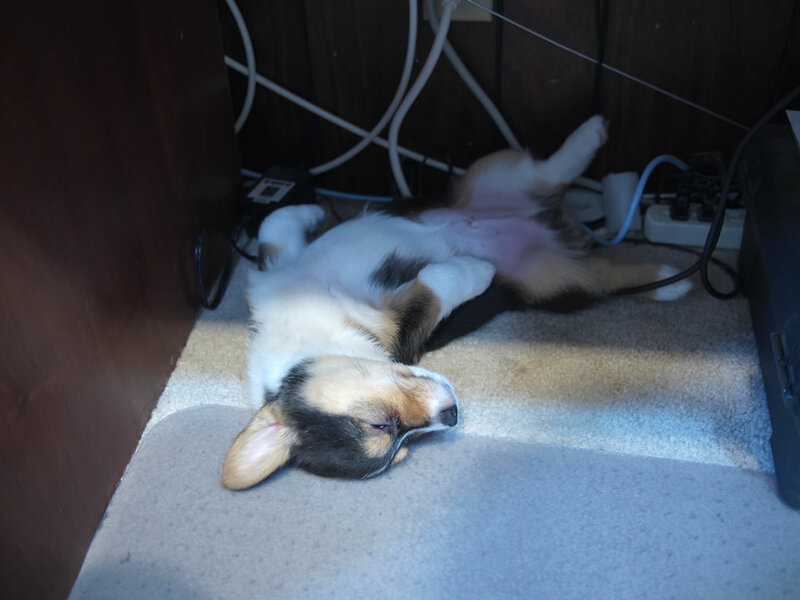 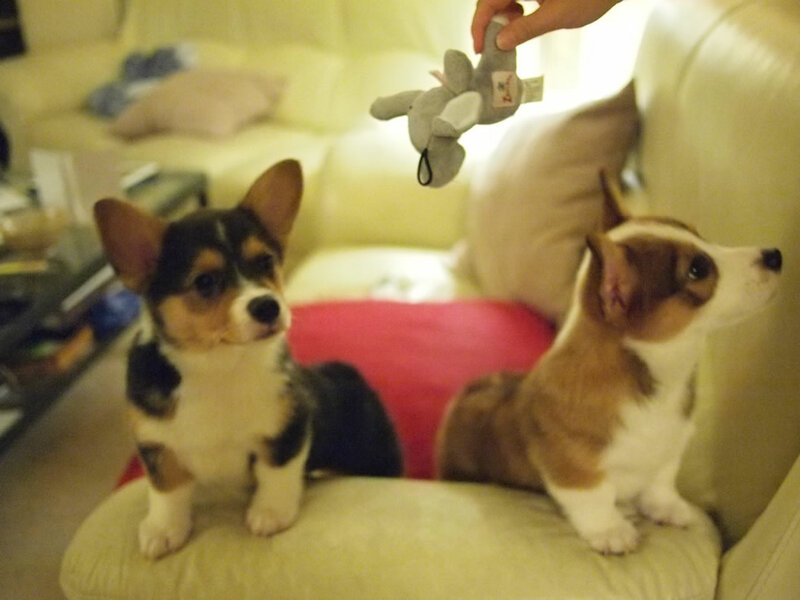 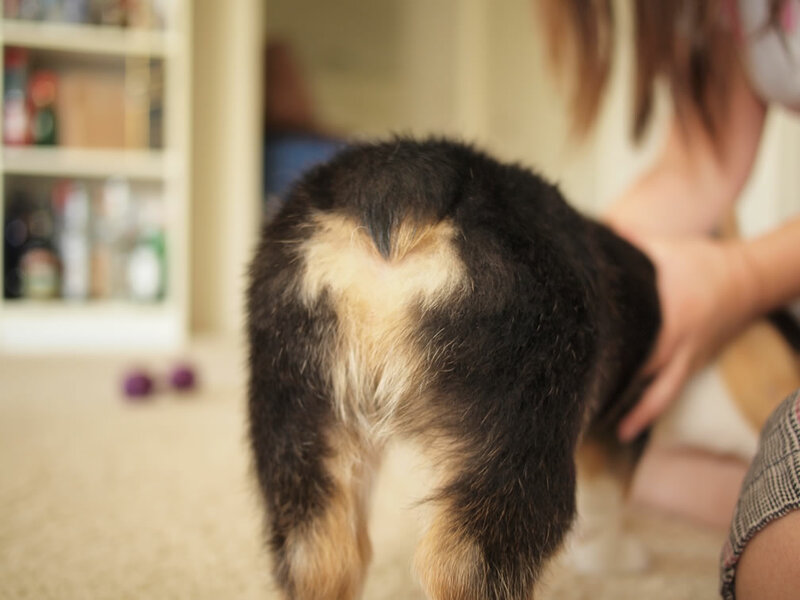 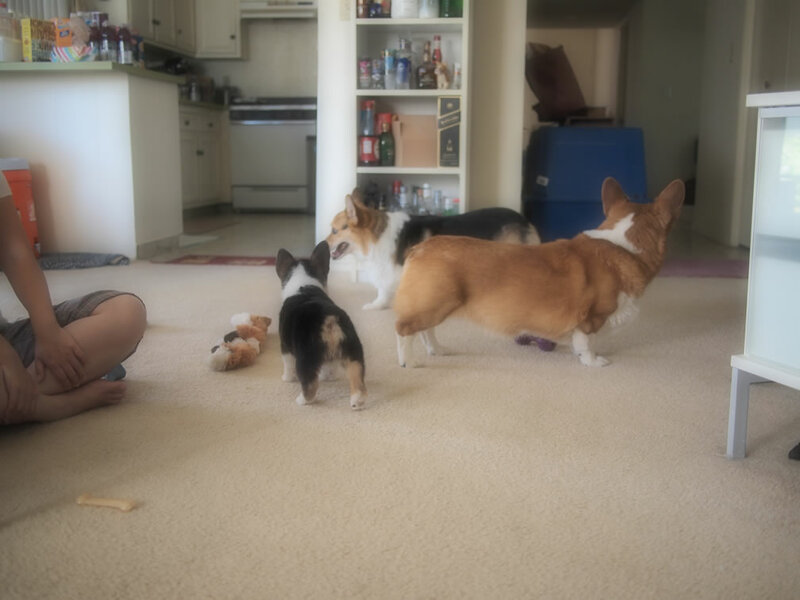 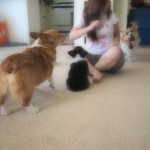 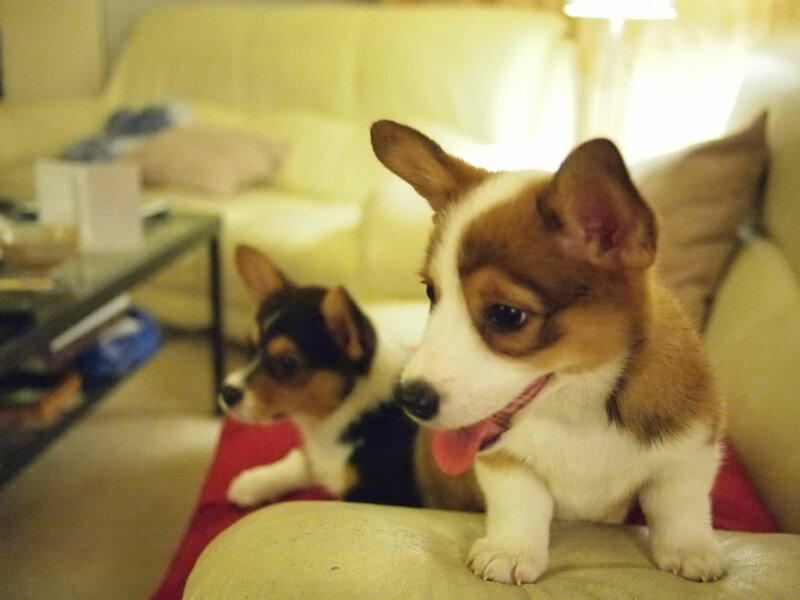 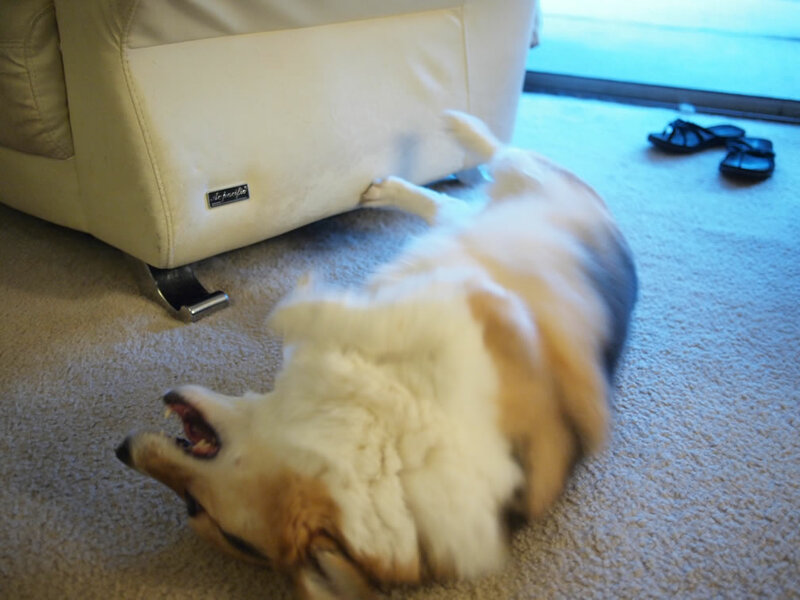 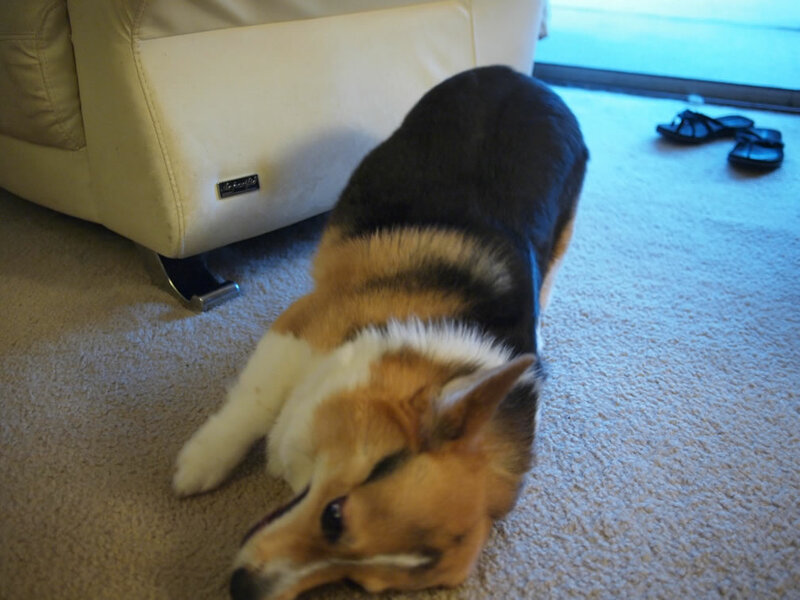 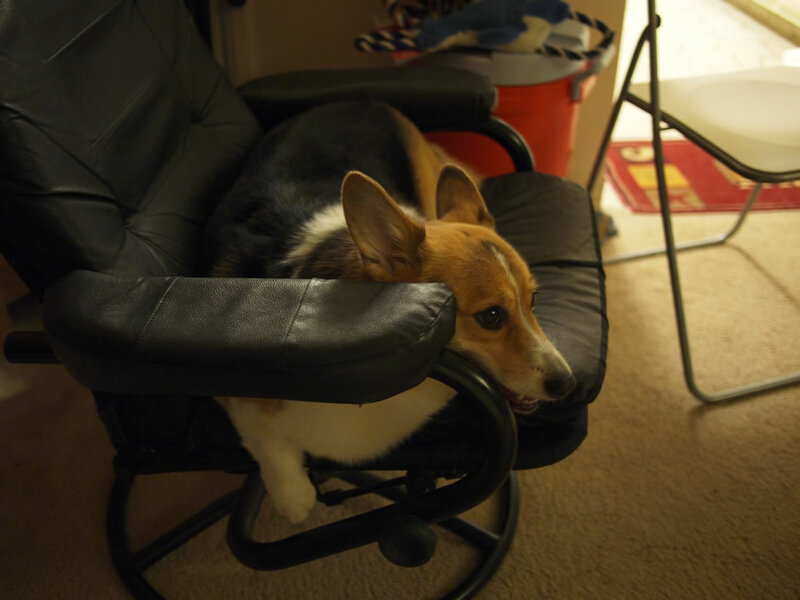 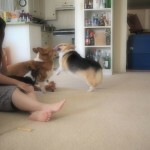 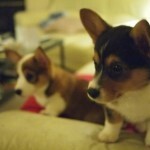 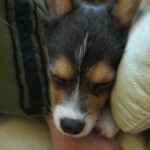 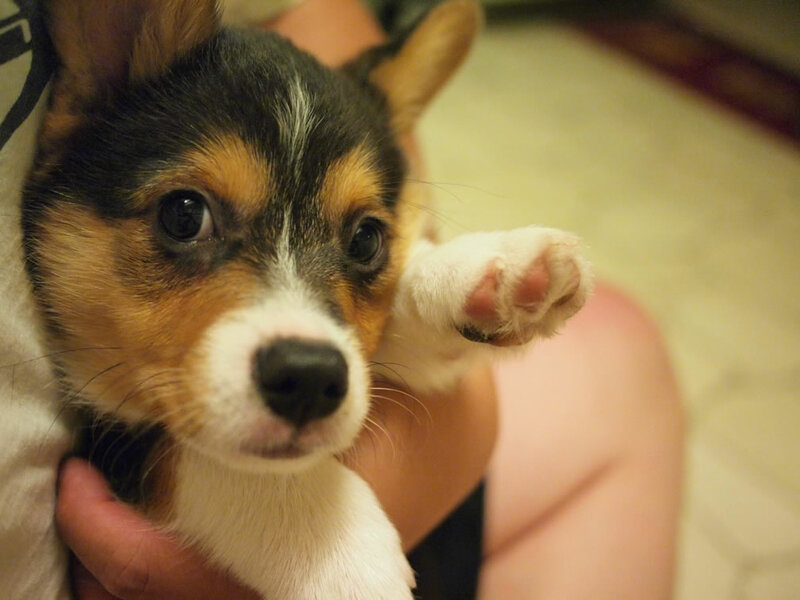 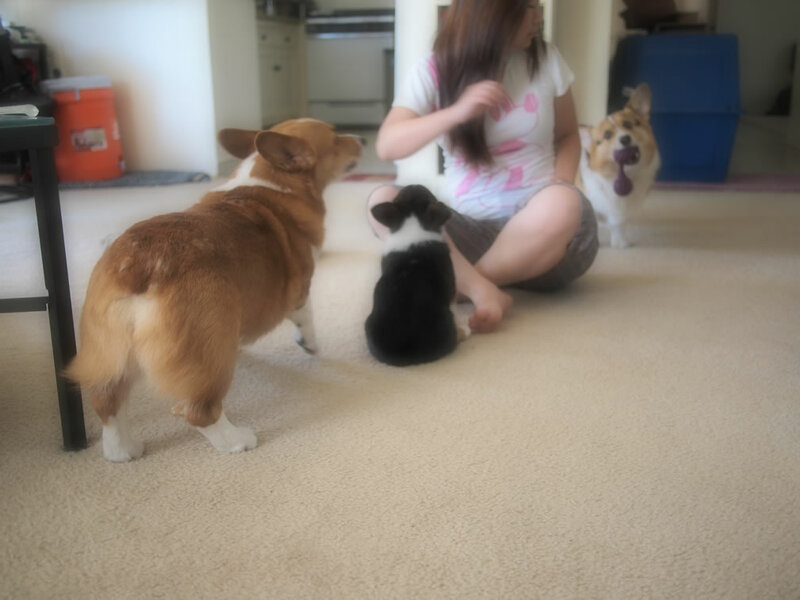 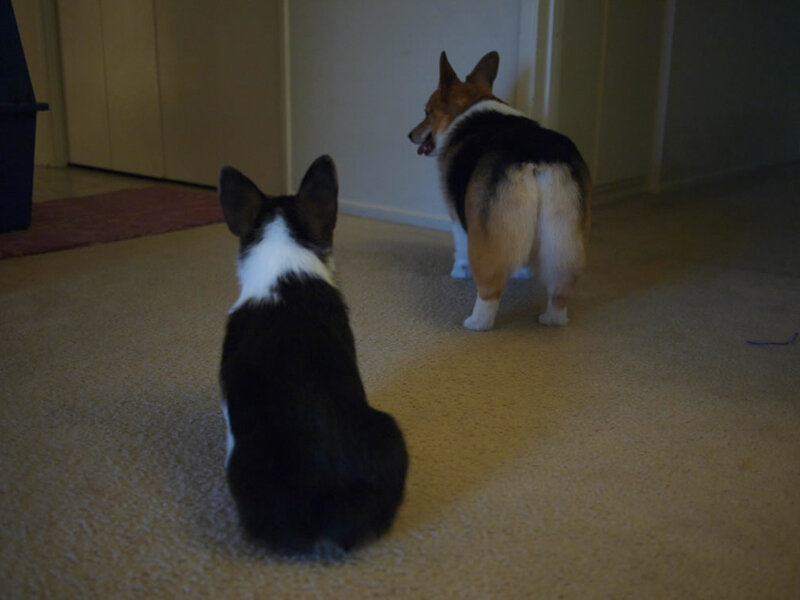 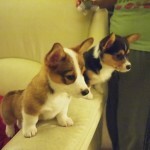 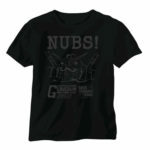 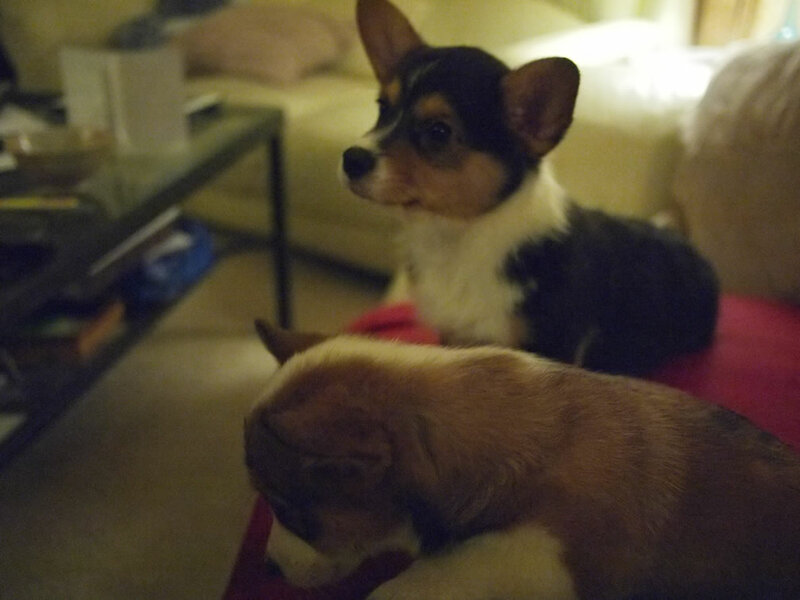 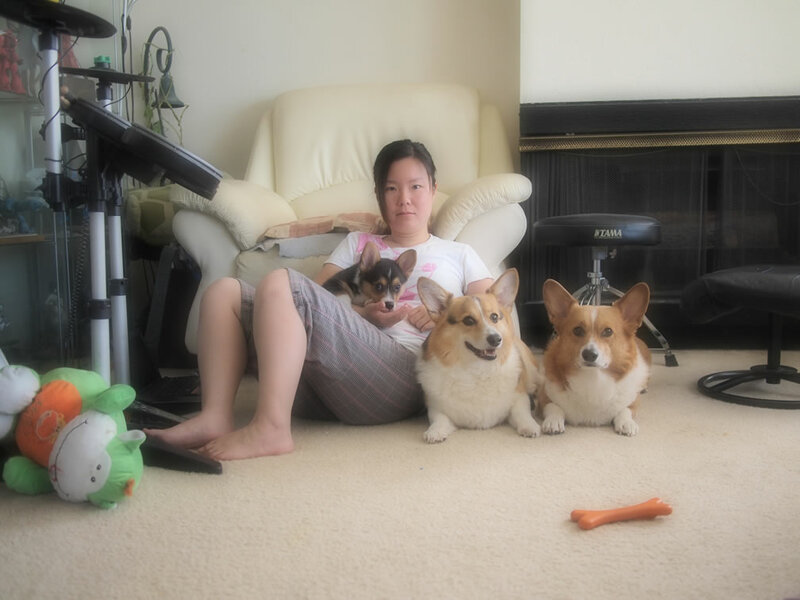 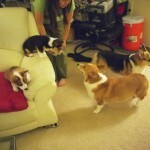 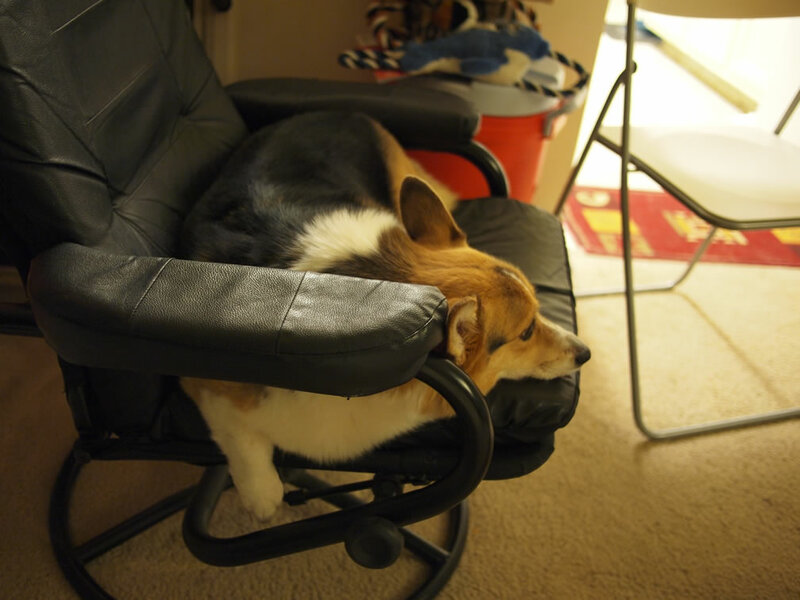 September 3-4, 2011: Little corgi update. 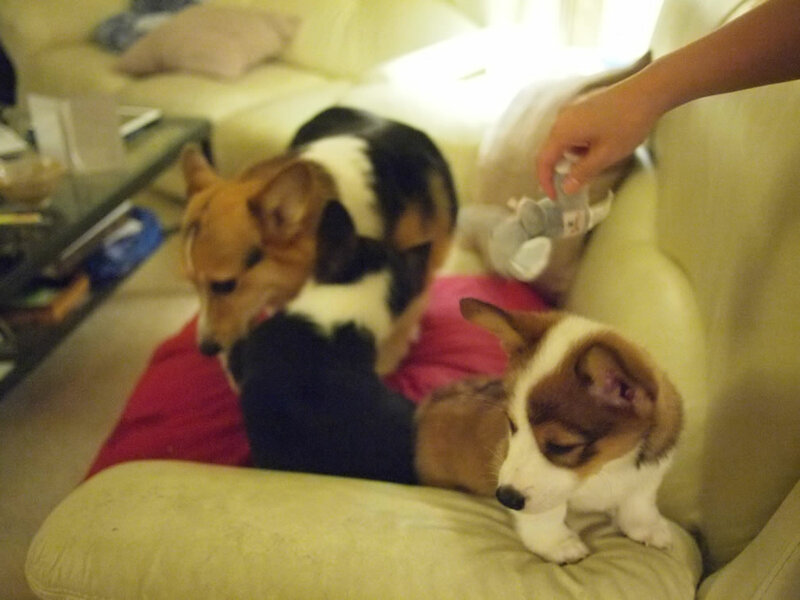 Latte recently got neutered, but looks much smaller than kenken. 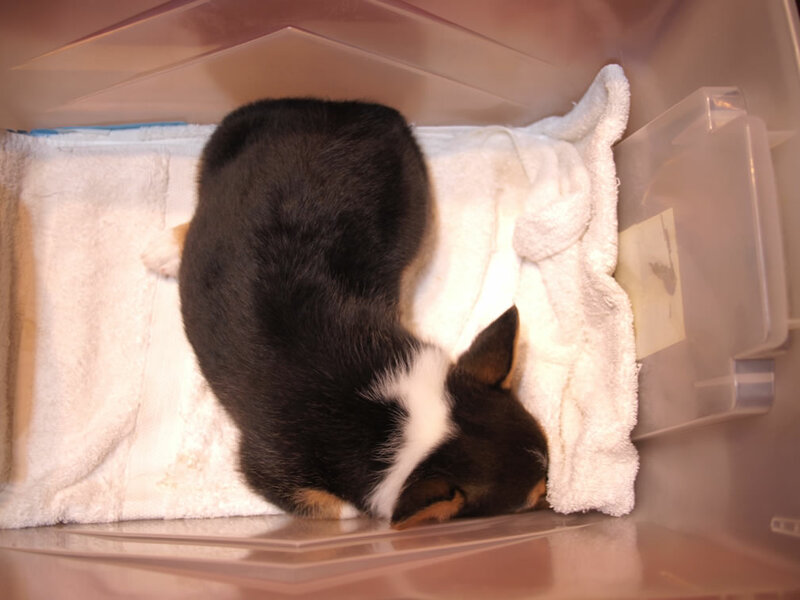 Kenken is about 15 or so lbs the last time he was weighed. 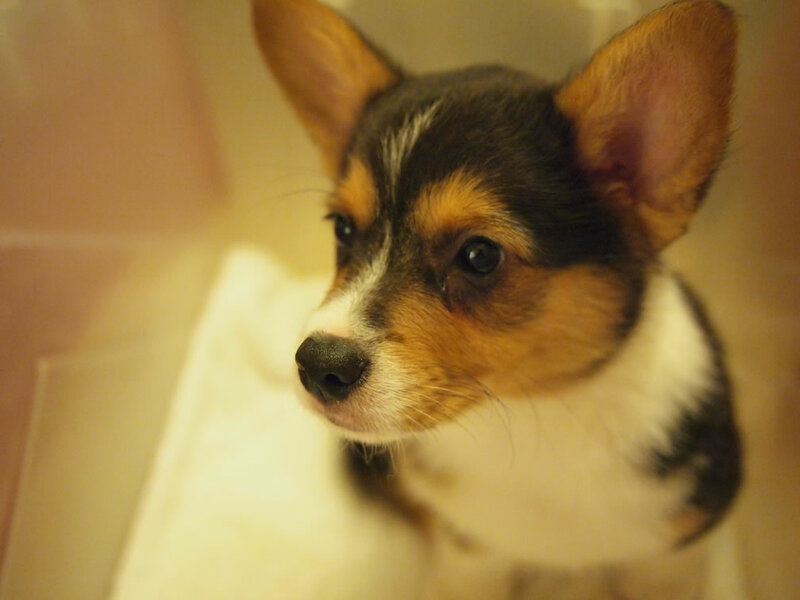 Latte was weighed in last week at 11 lbs. 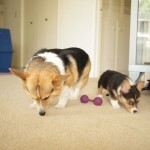 He definitely needs more bigger food portions to catch up the little Kenken, who is quite obviously bigger than his little brother. 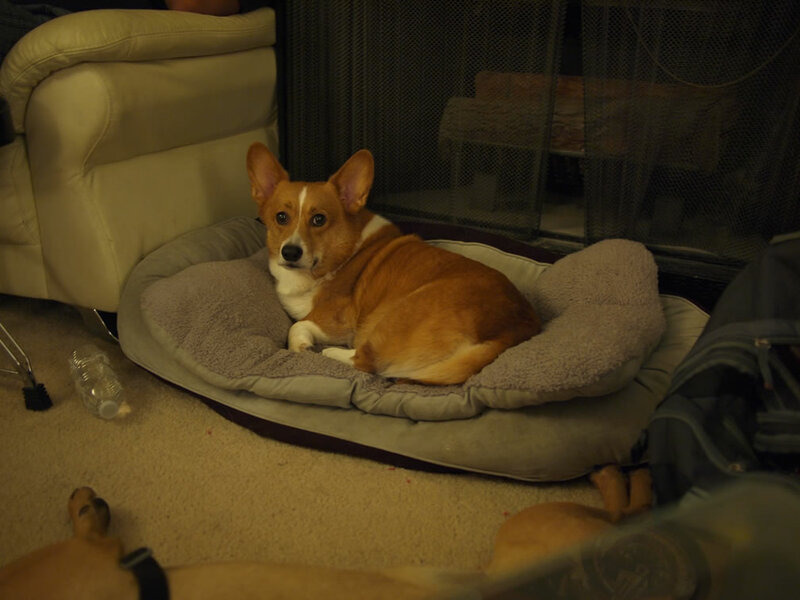 Some random shots of Hugo and Beanie spliced in there as well as Izzie, Ty, and Duke from this past weekend’s festivities.